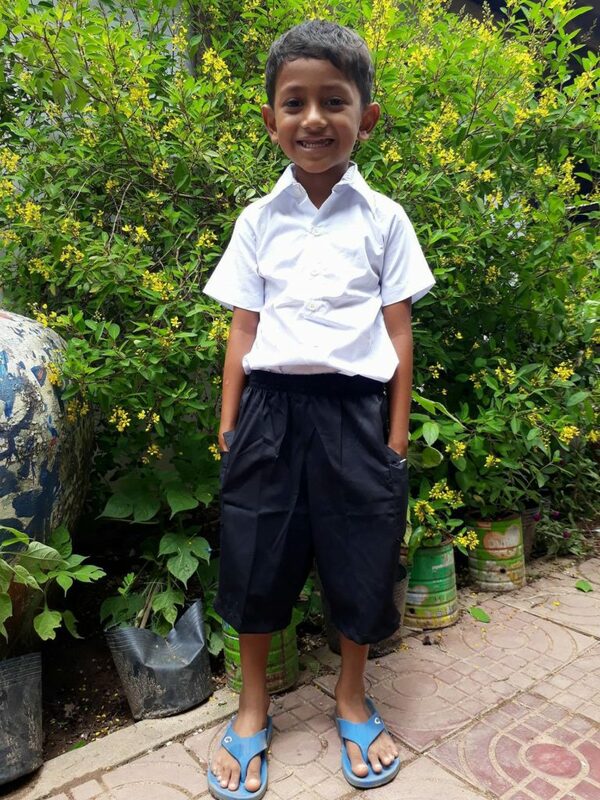 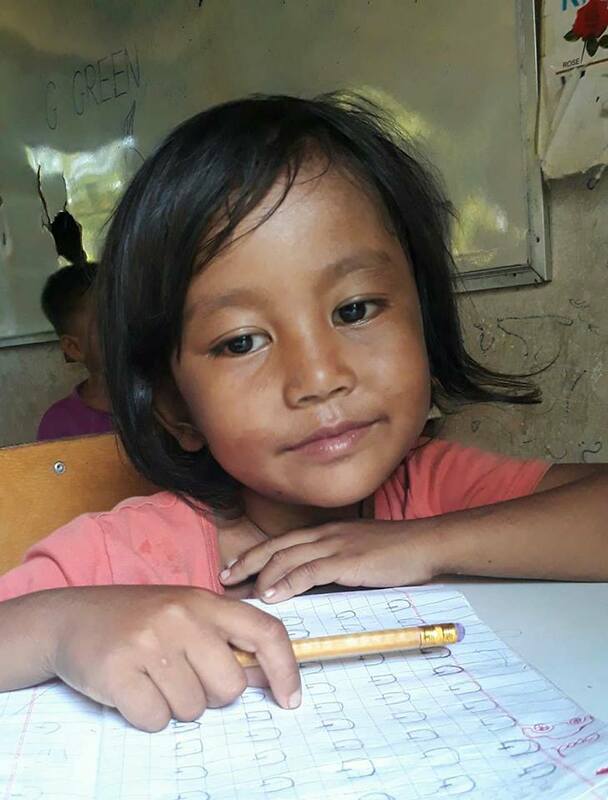 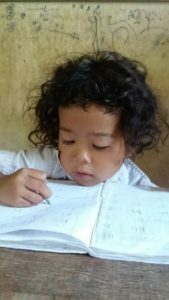 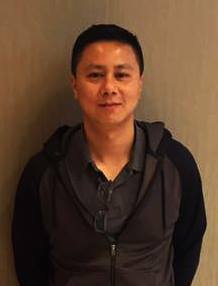 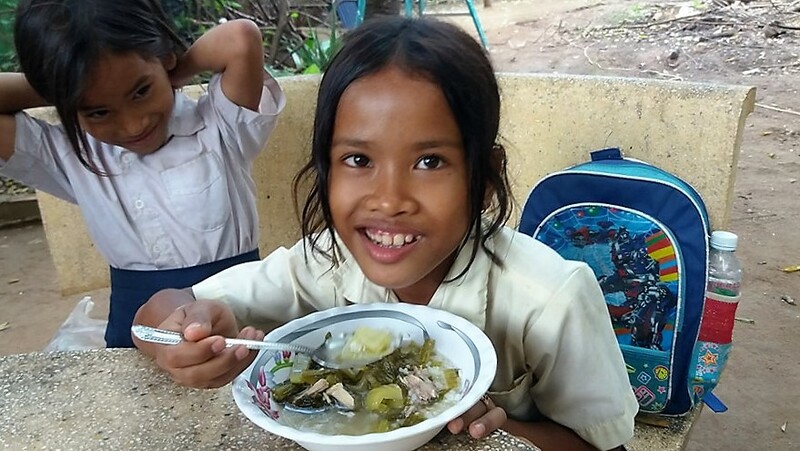 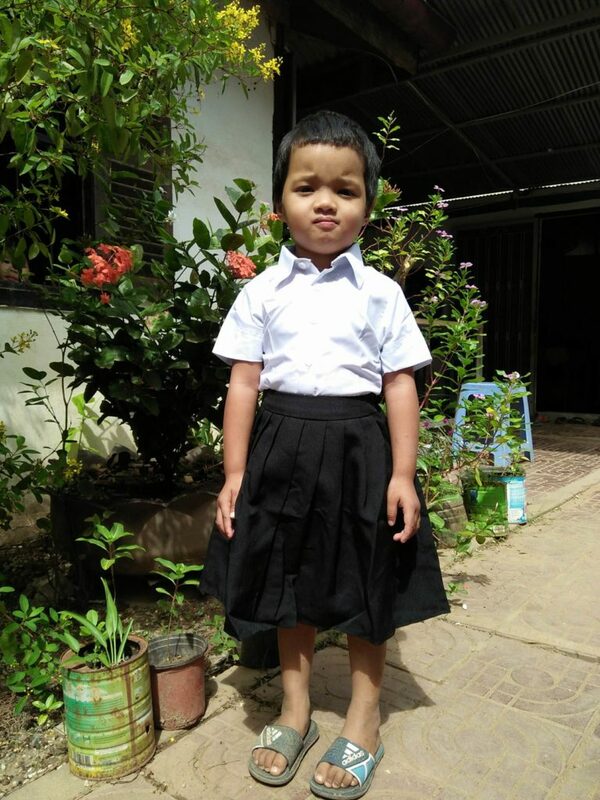 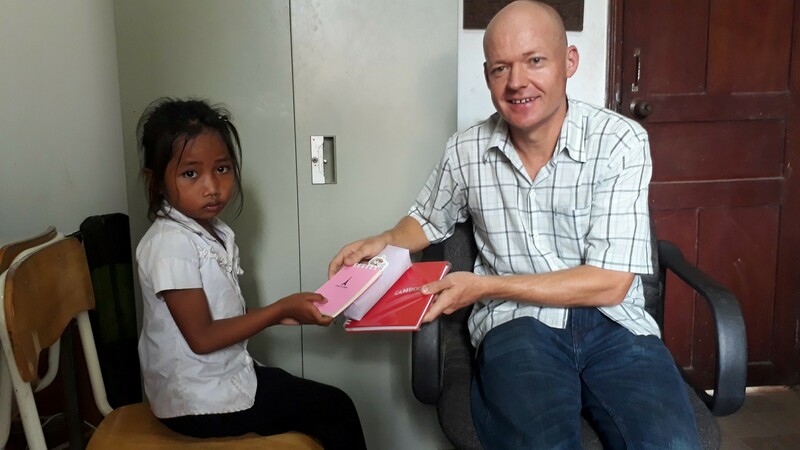 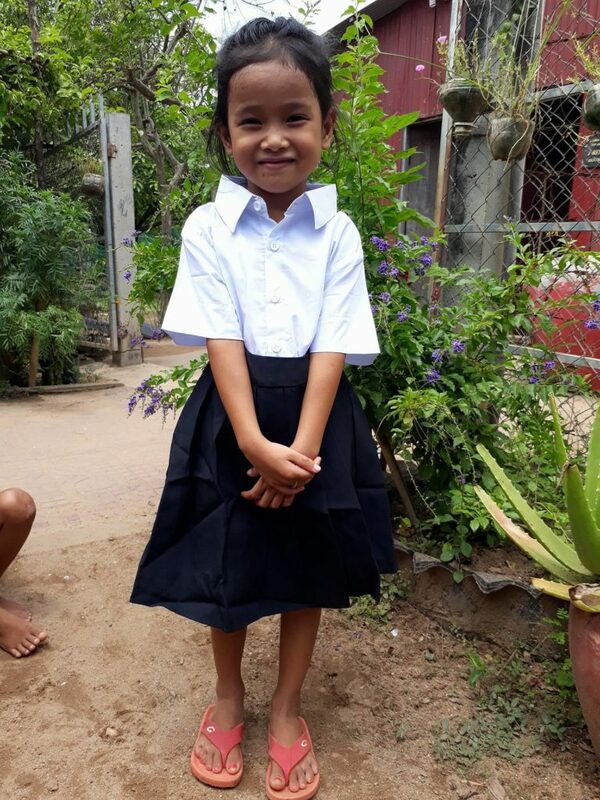 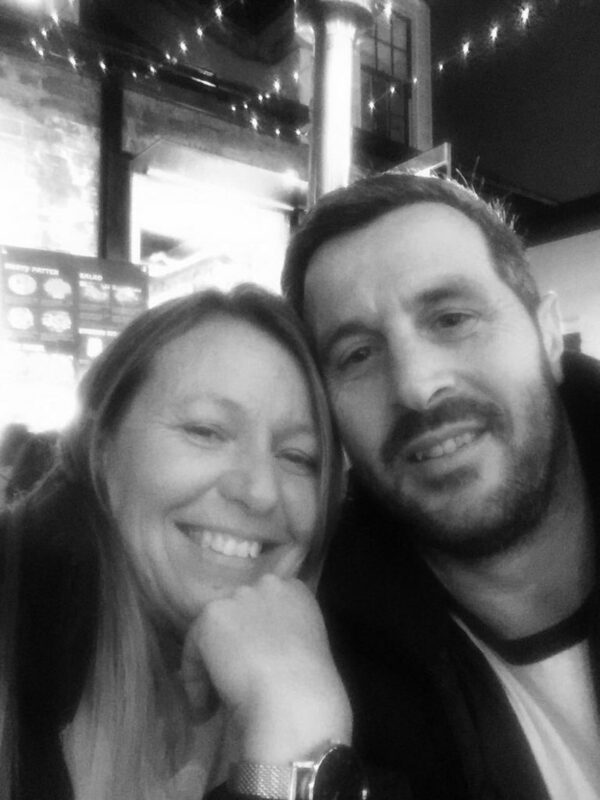 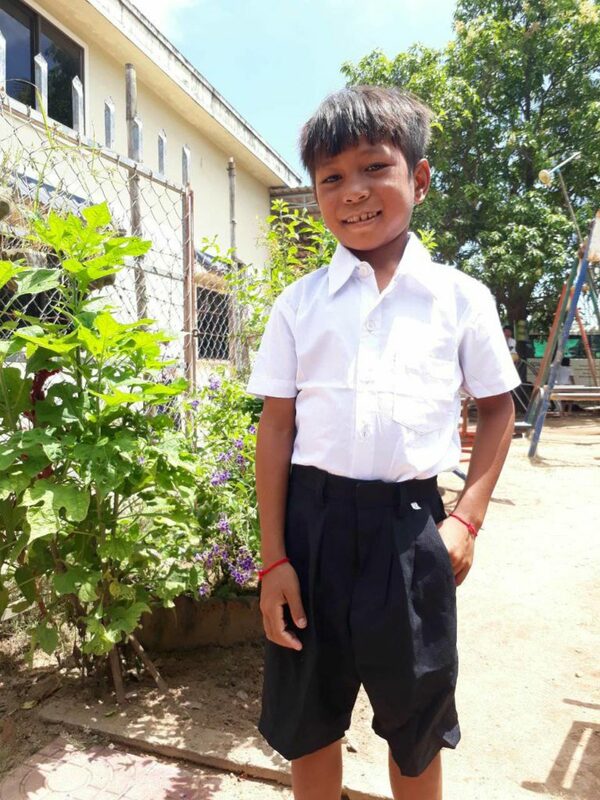 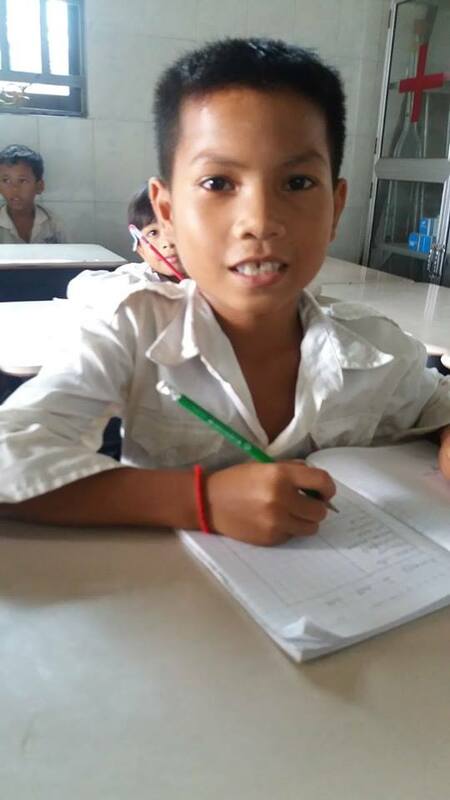 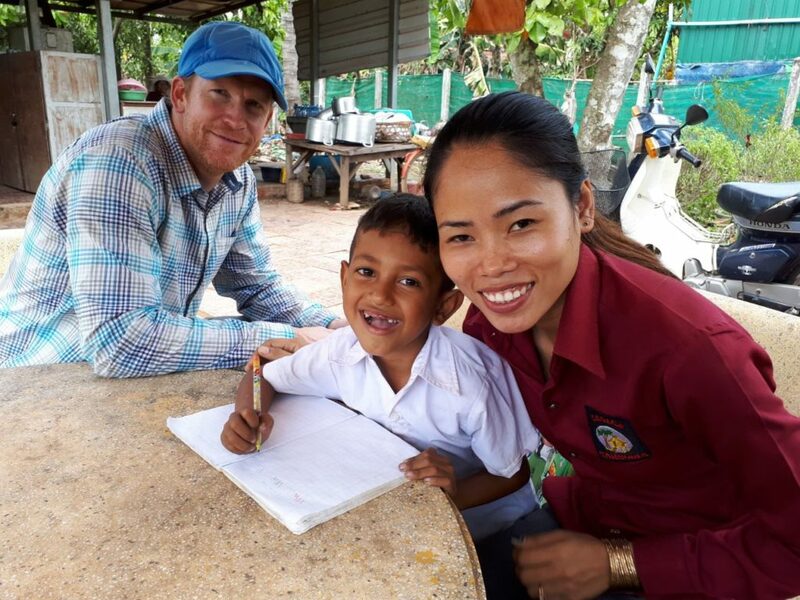 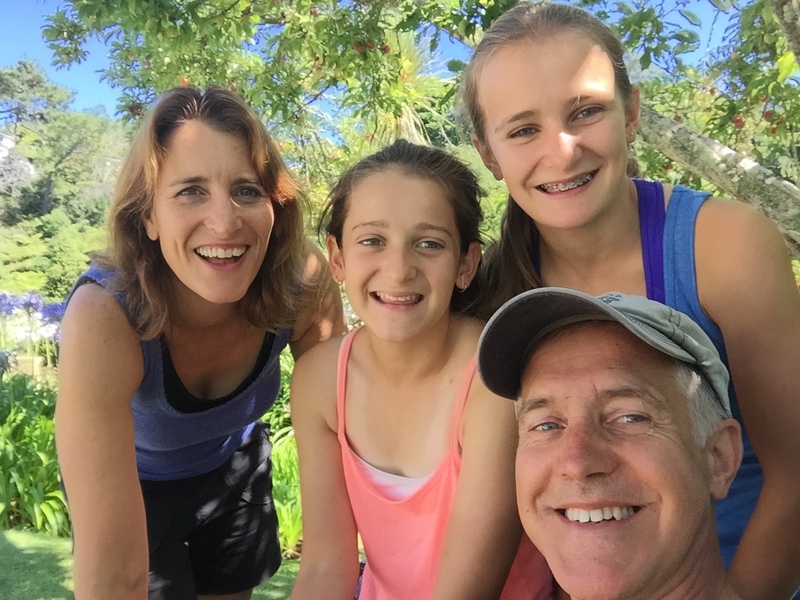 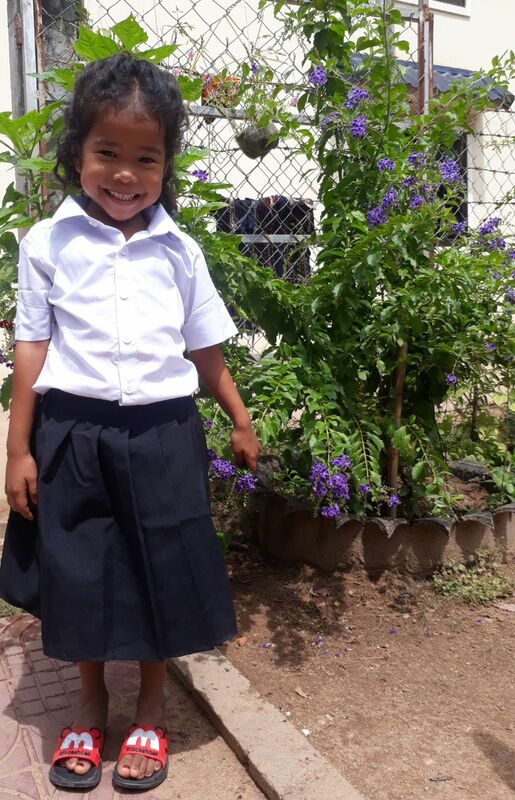 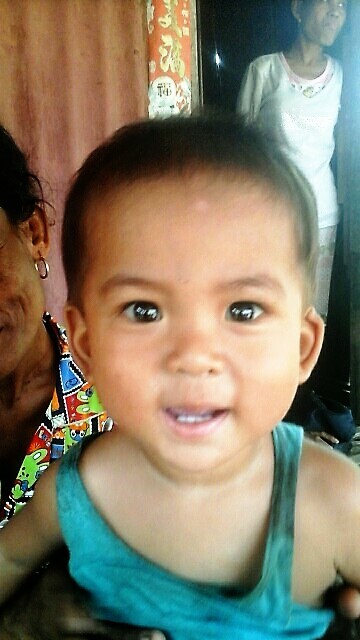 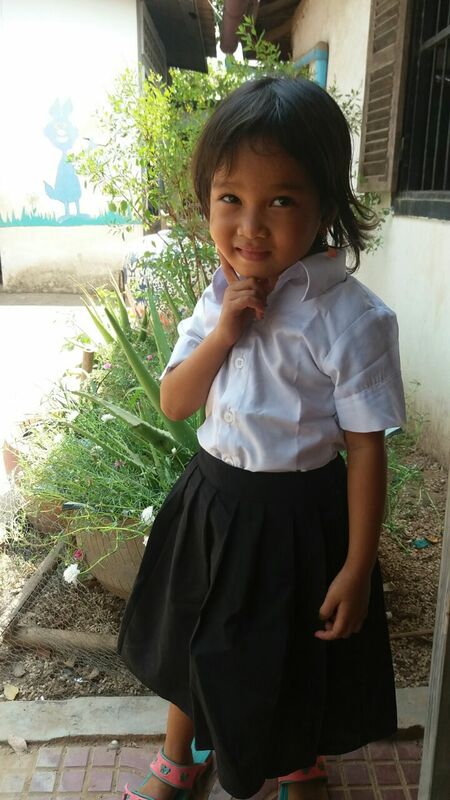 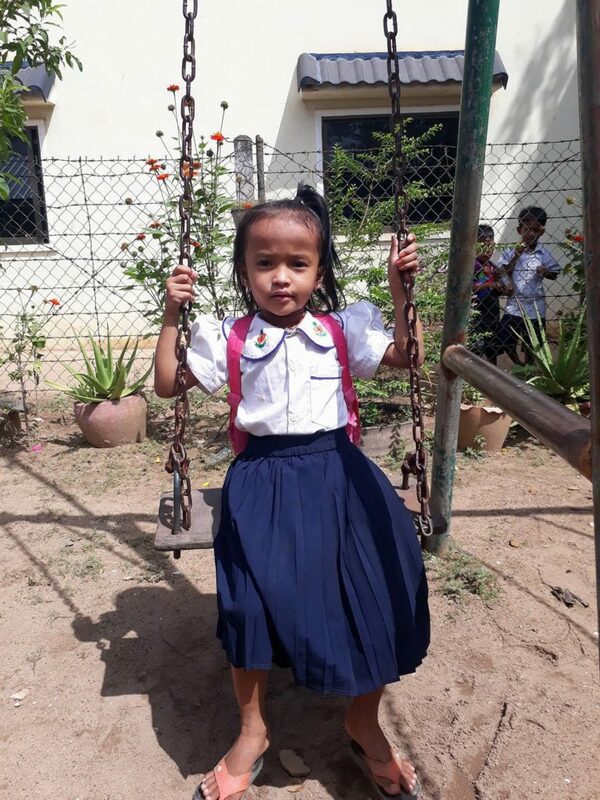 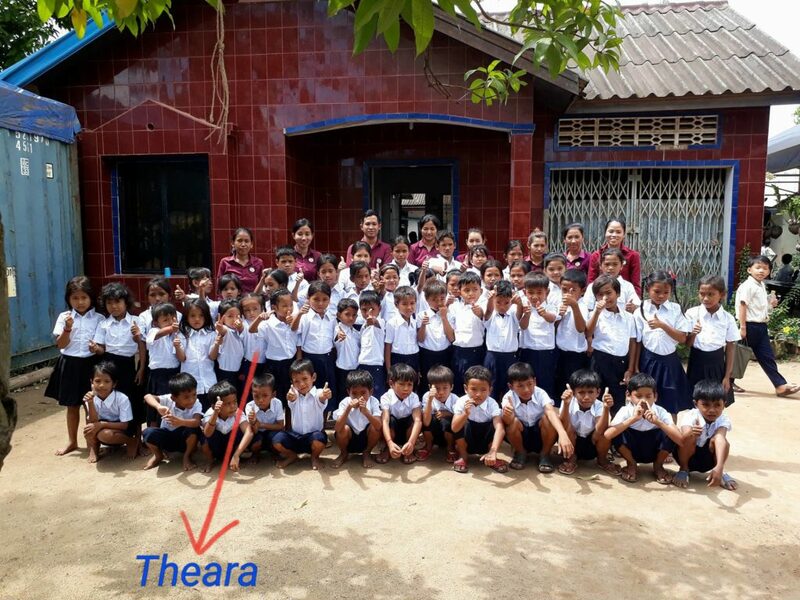 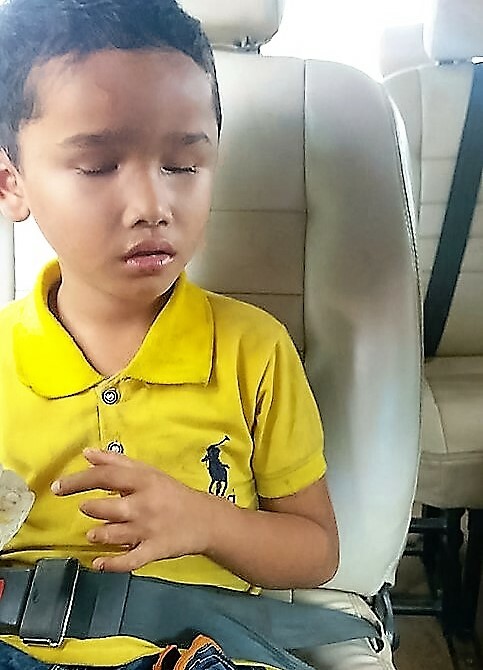 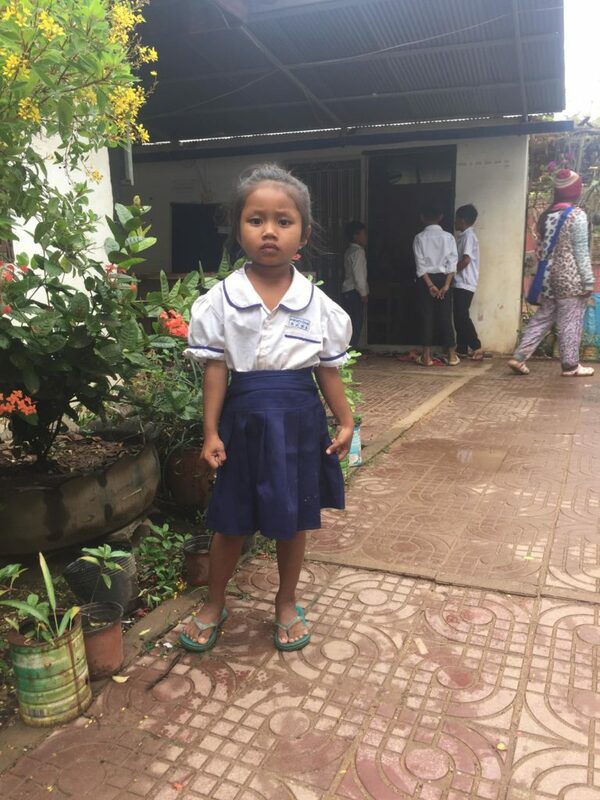 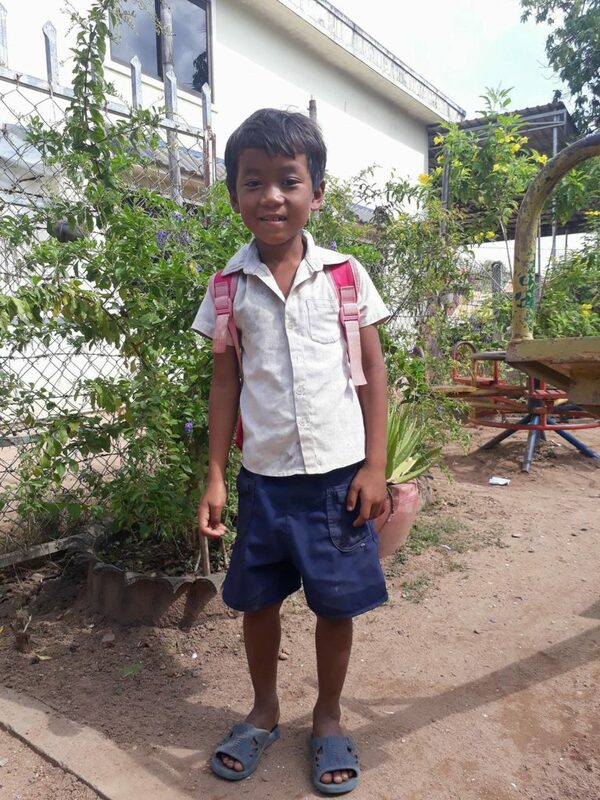 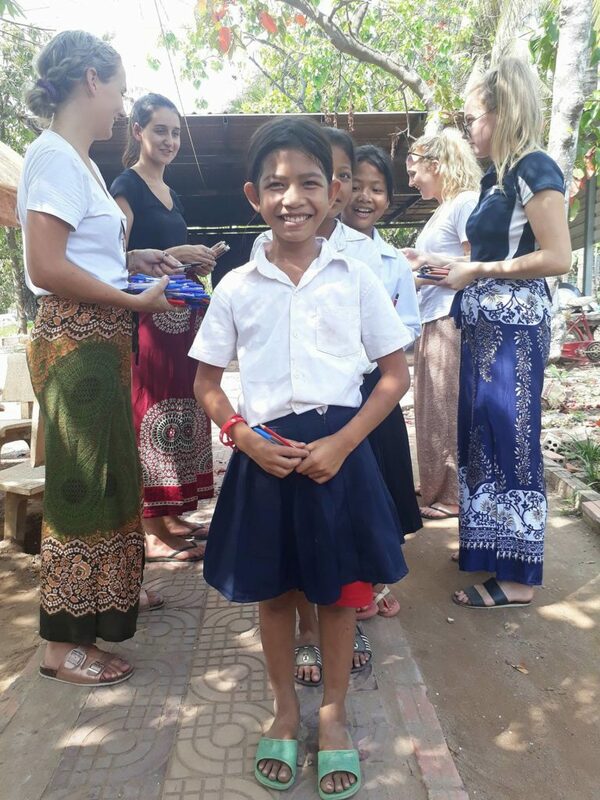 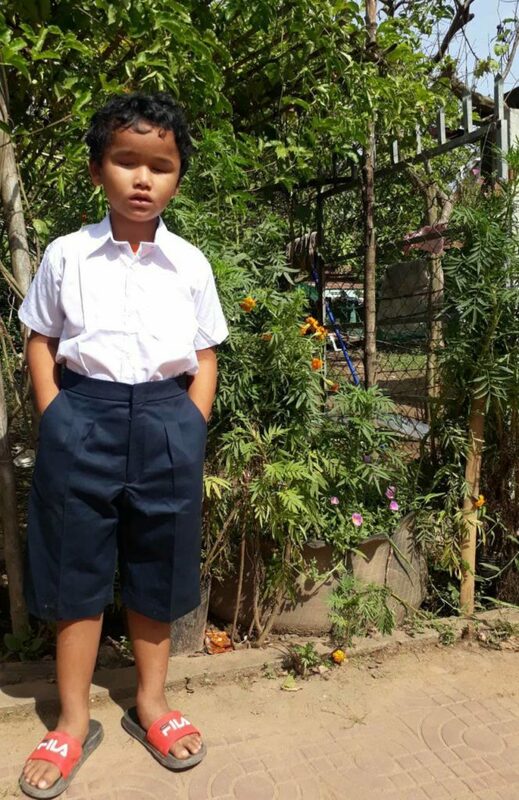 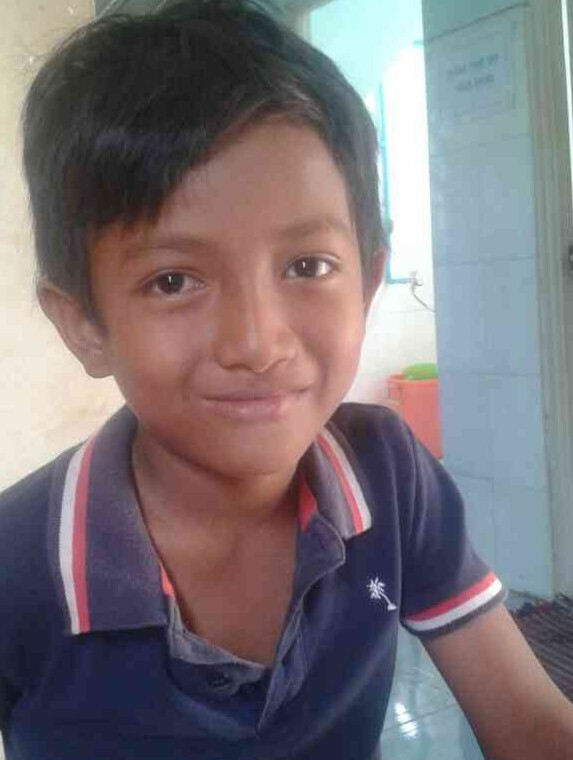 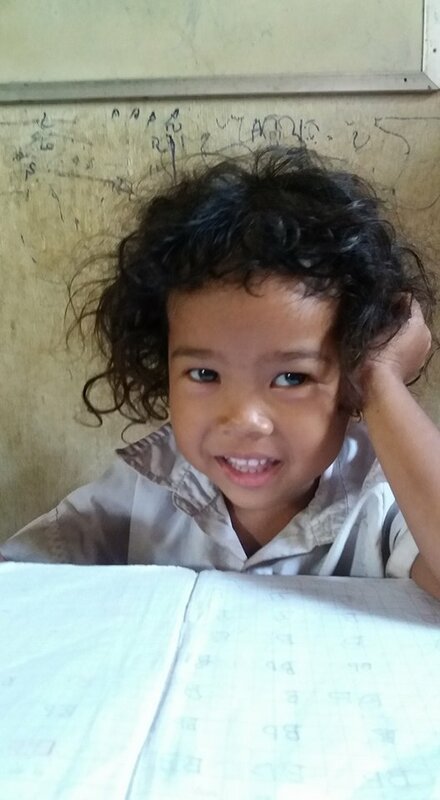 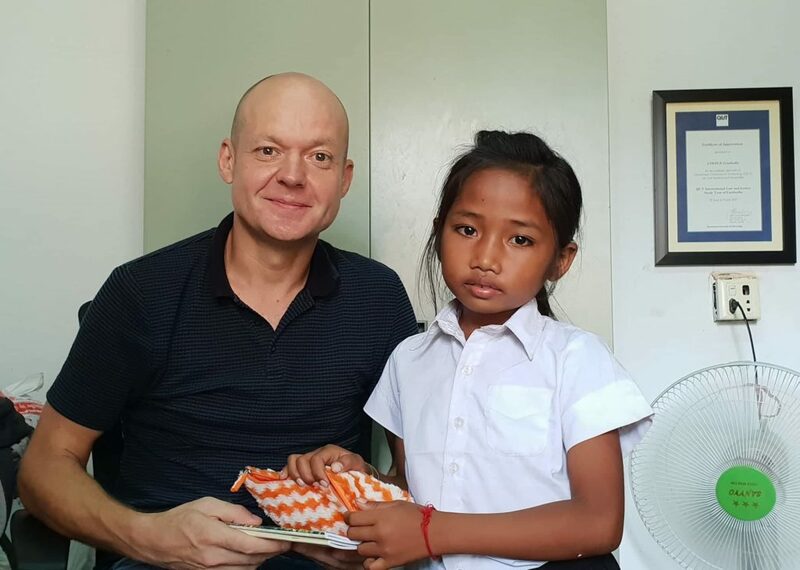 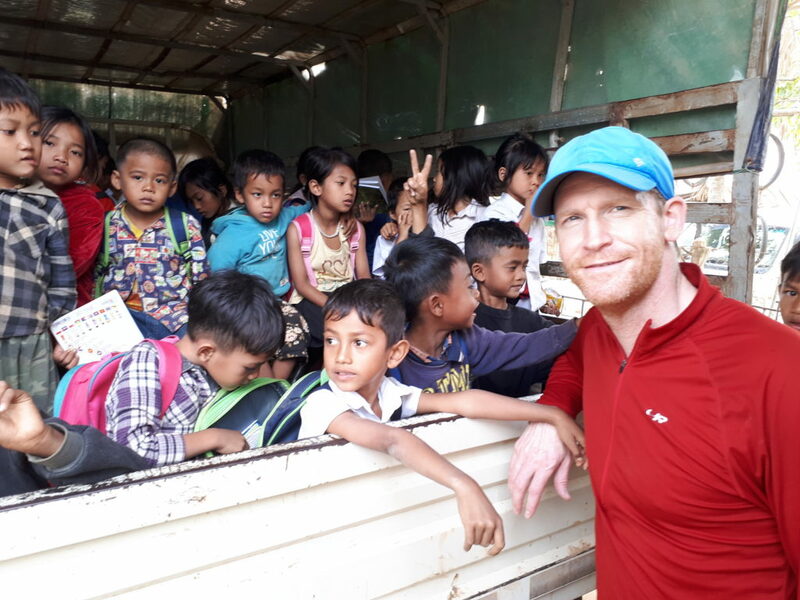 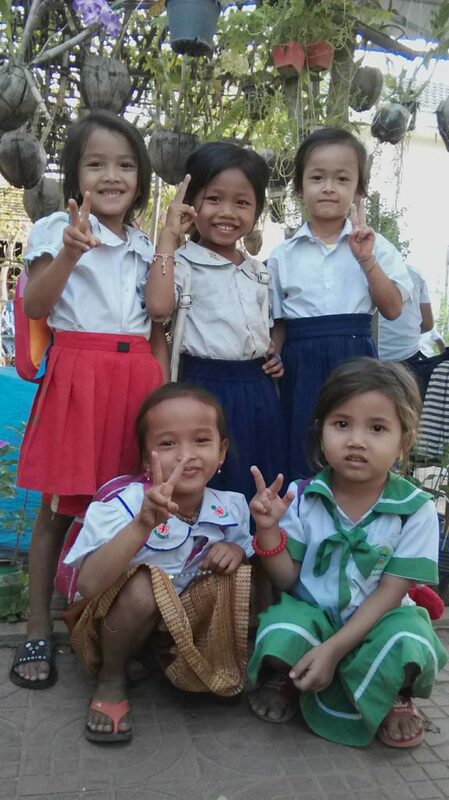 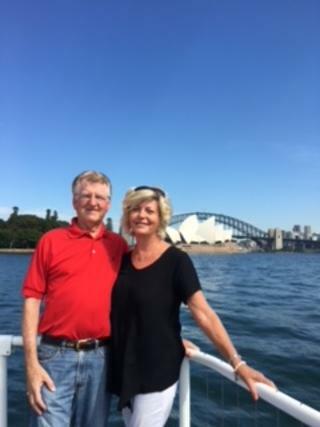 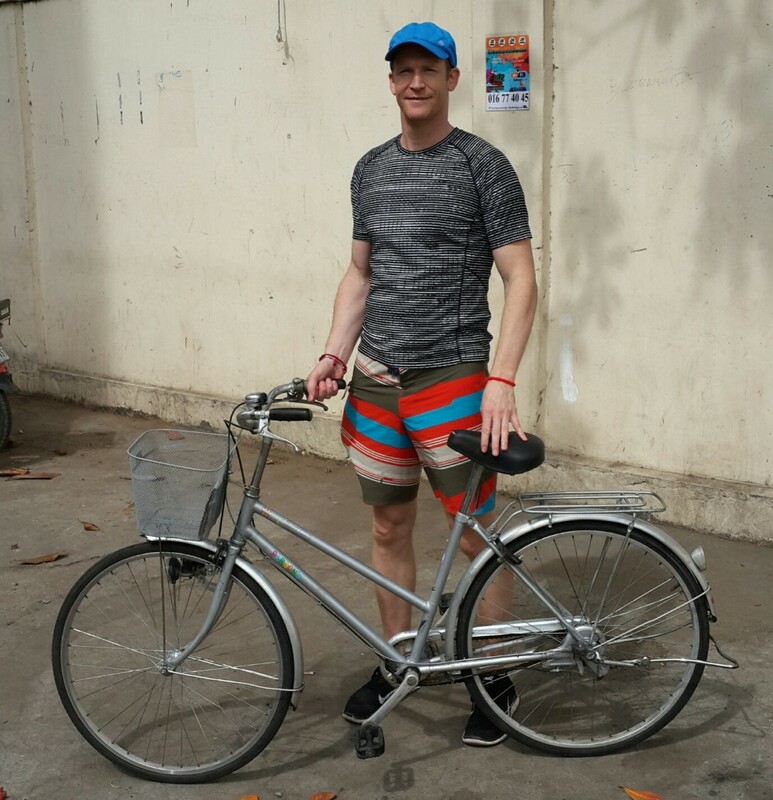 Khom Chenda is sponsored by Neil and Jenny Hamlin and their daughters Jessica and Holly from New Zealand for US$50 per month, since February 2015. 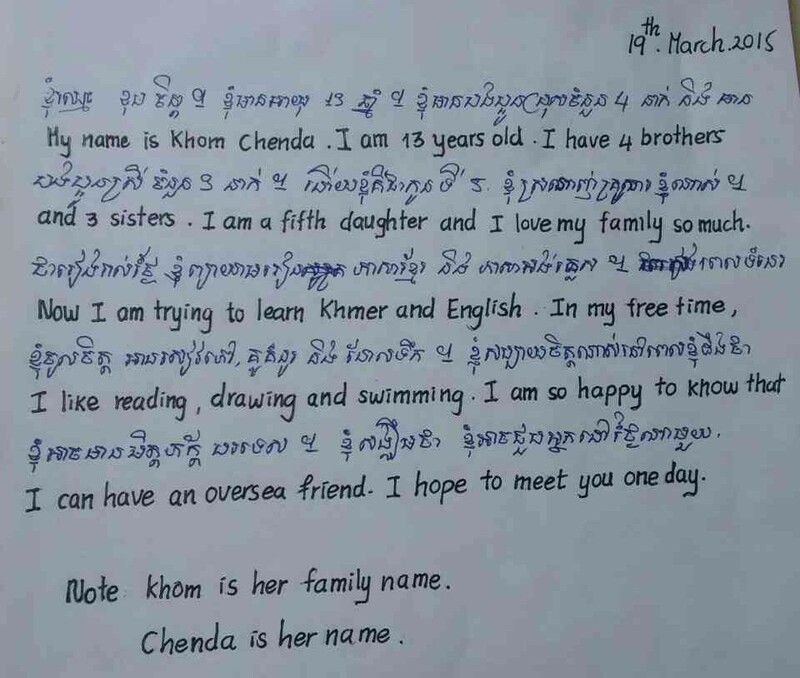 Chenda was born in September 2002. 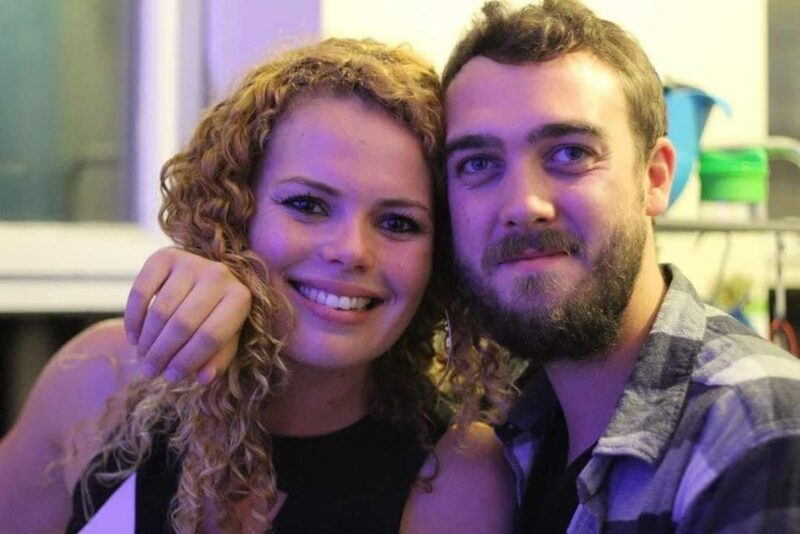 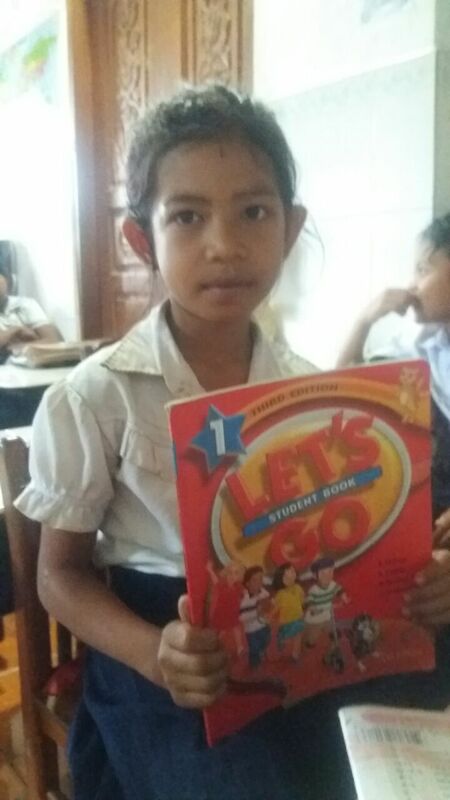 She has been studying at Choice since 2012. 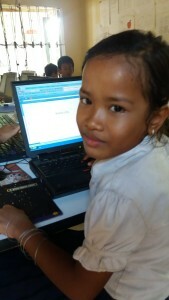 She has 4 brothers and 3 sisters. 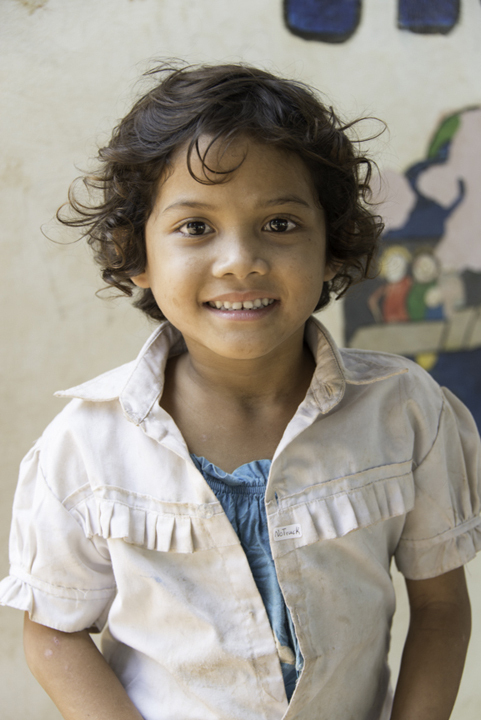 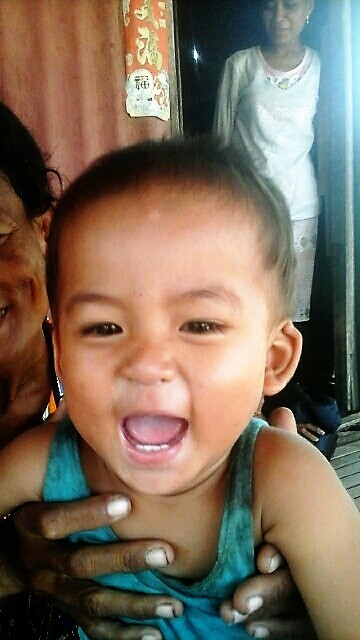 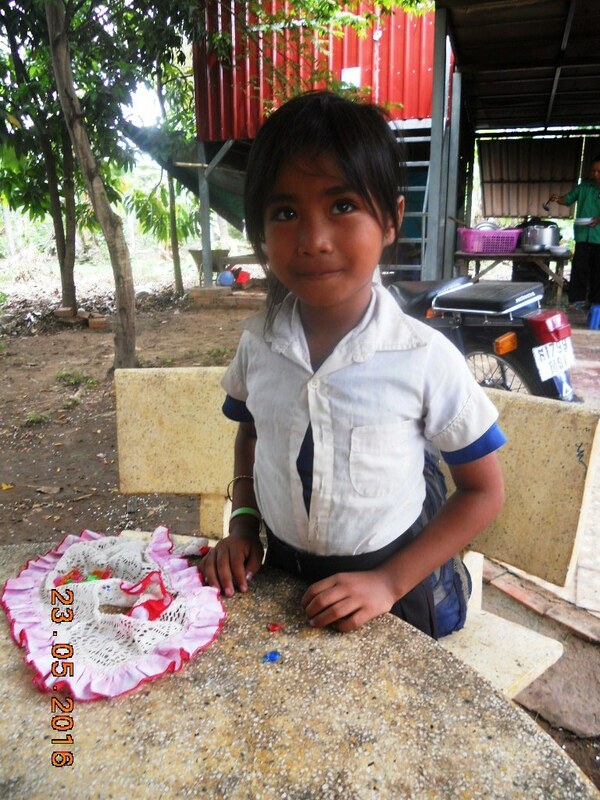 Chenda is the 5th child in her family. 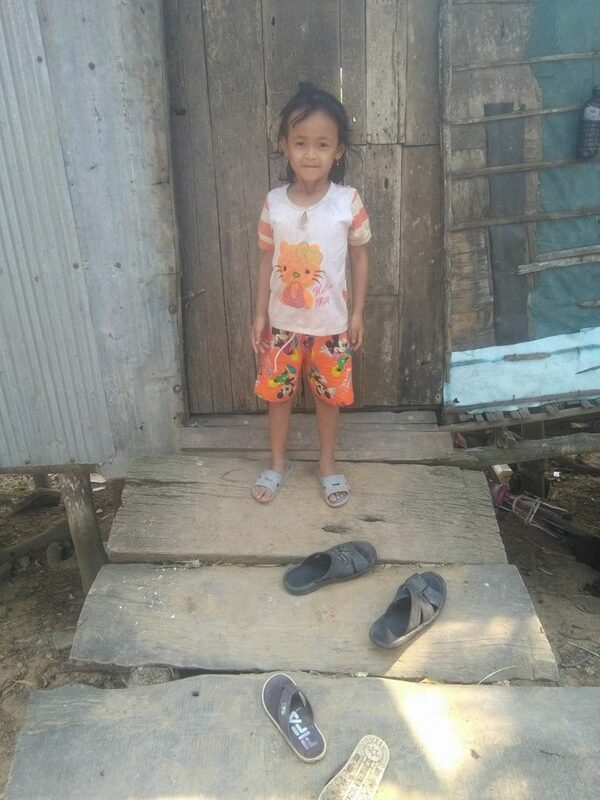 She lives in the “No truck” village. 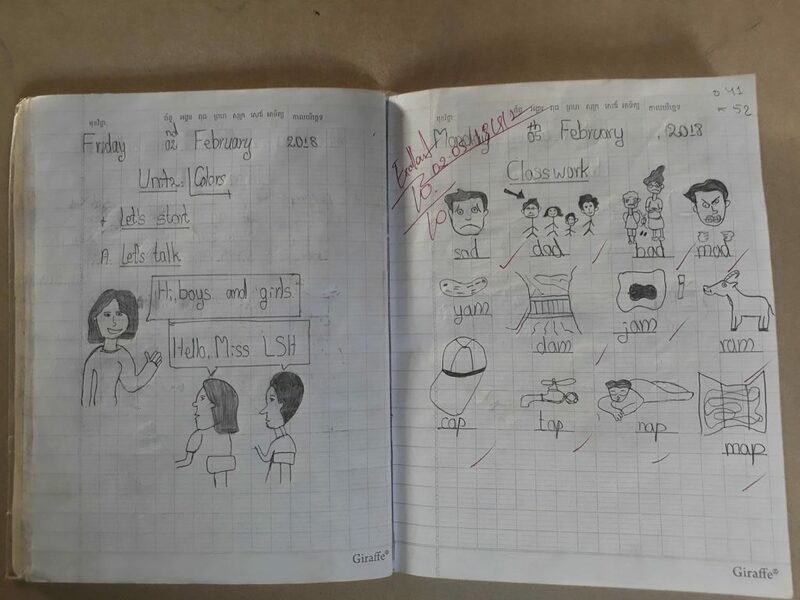 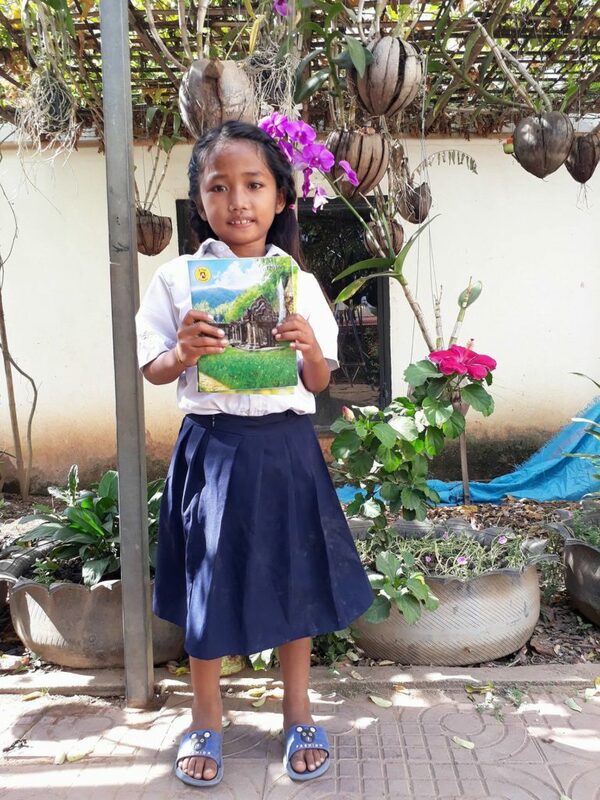 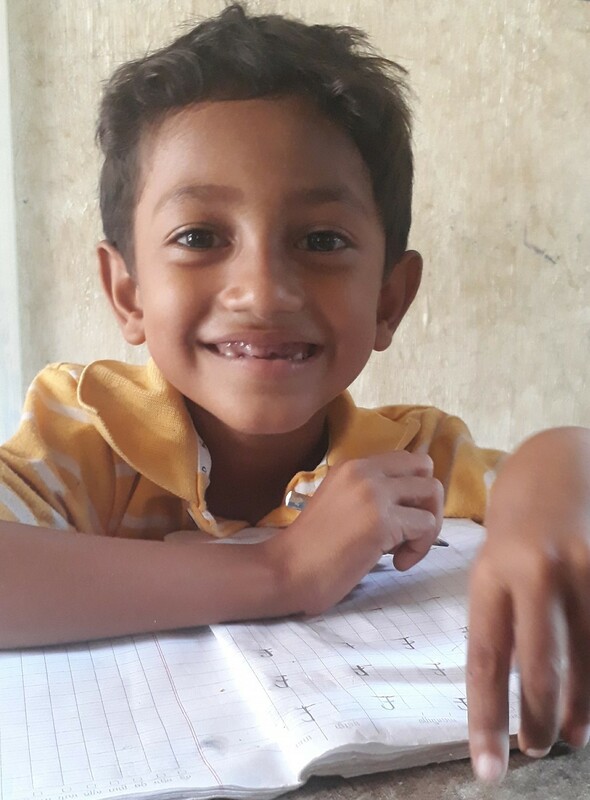 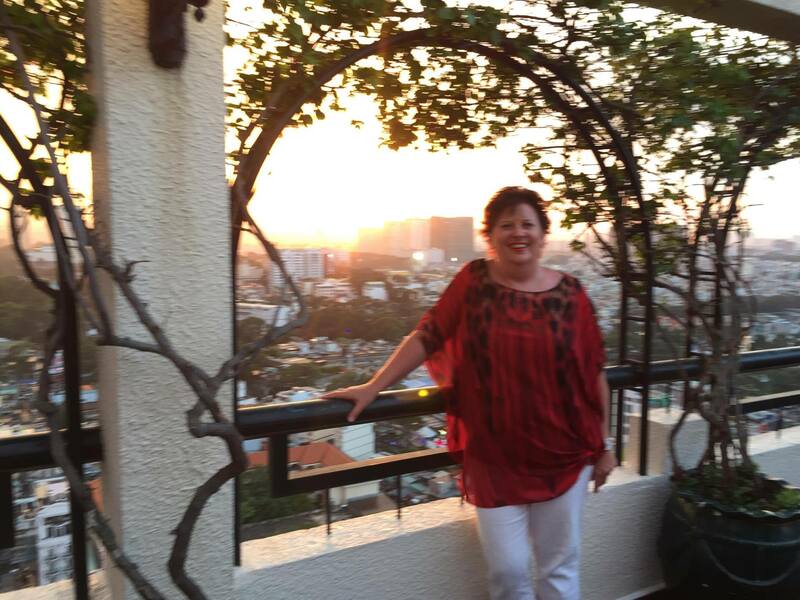 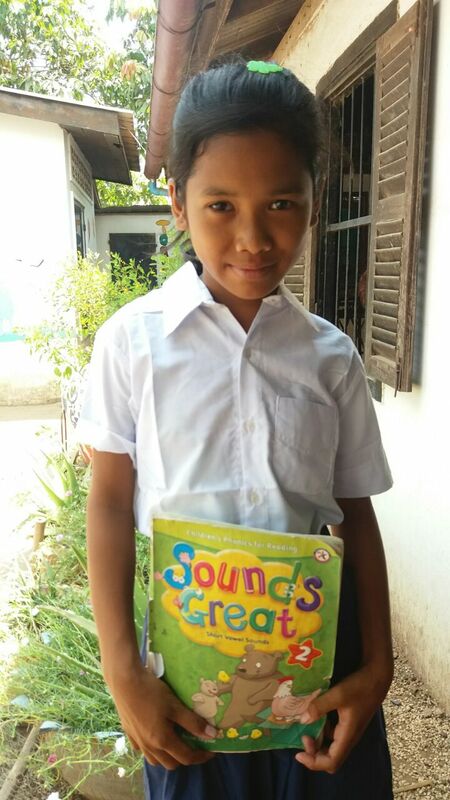 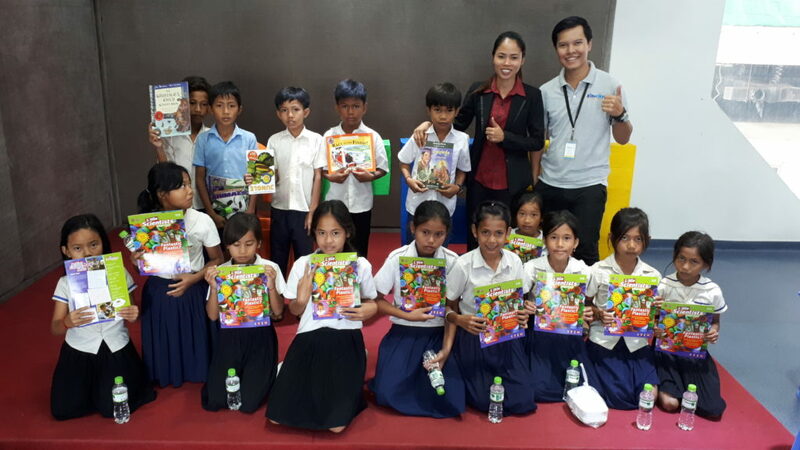 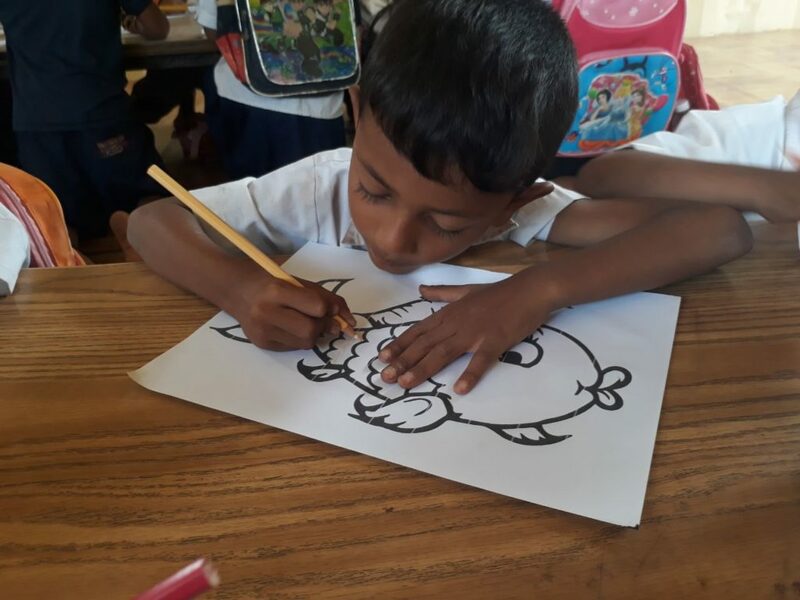 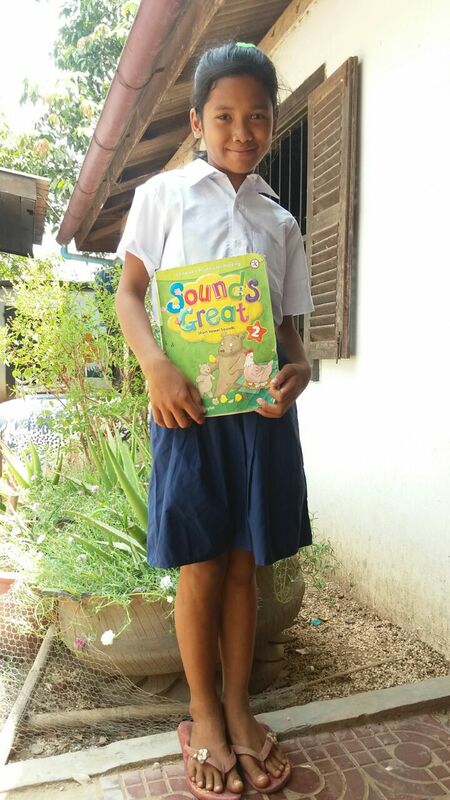 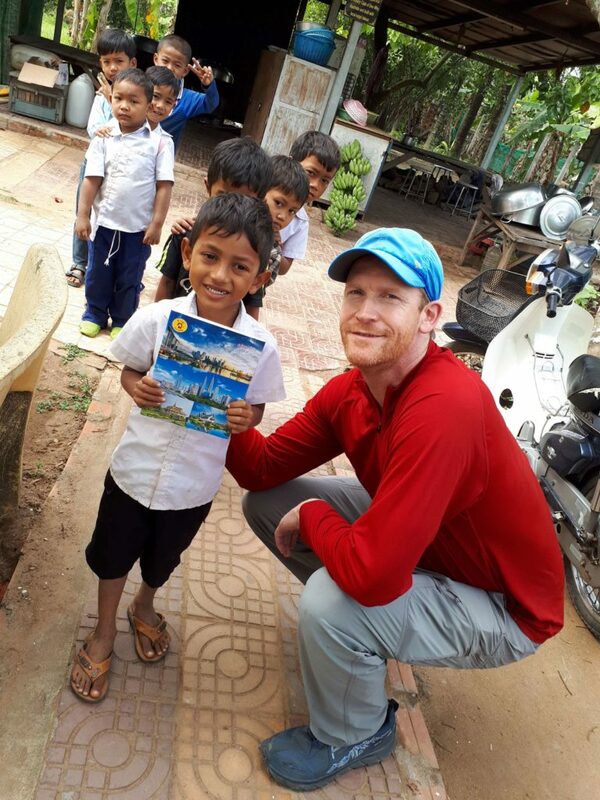 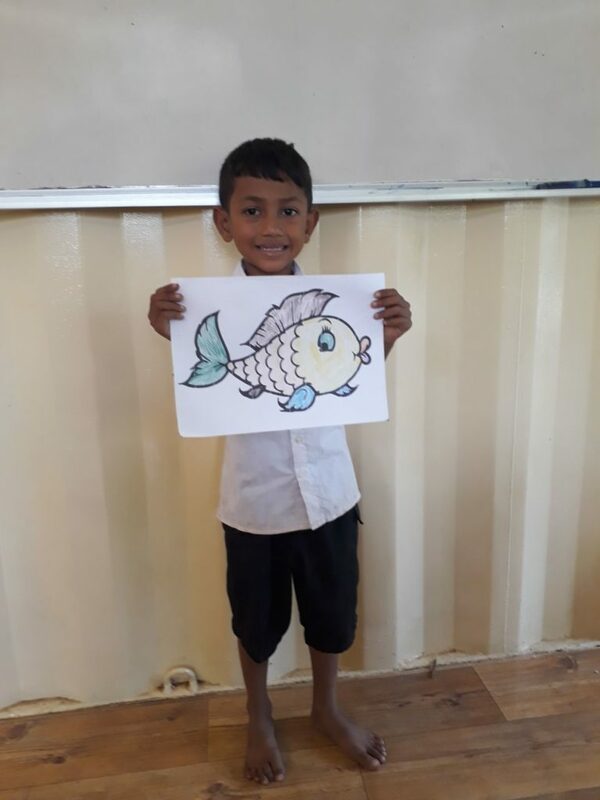 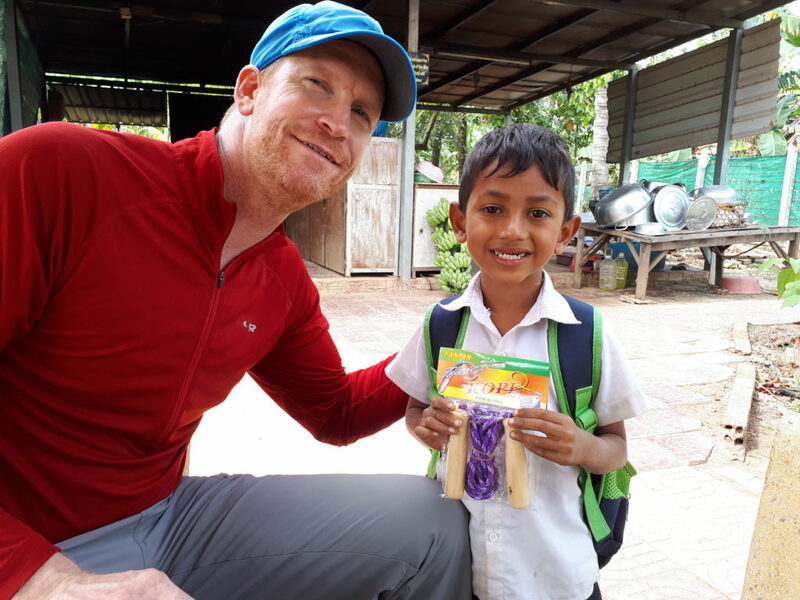 Chenda likes reading, drawing, running and swimming. 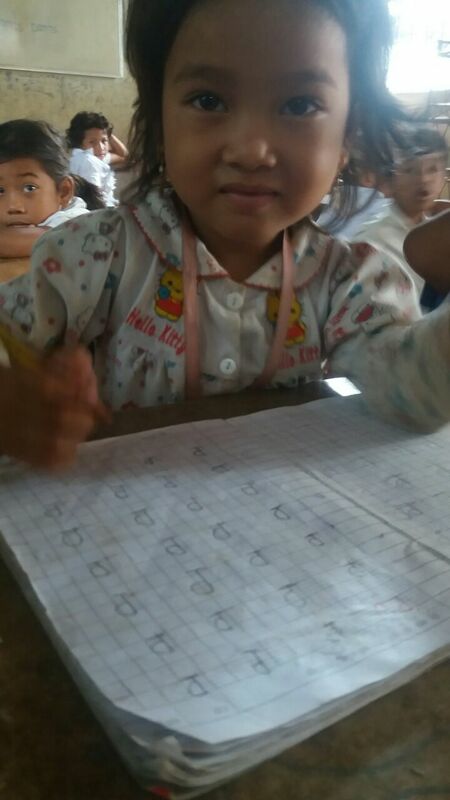 In the future she hopes to be an English teacher and would like to teach at the Choice Centre. 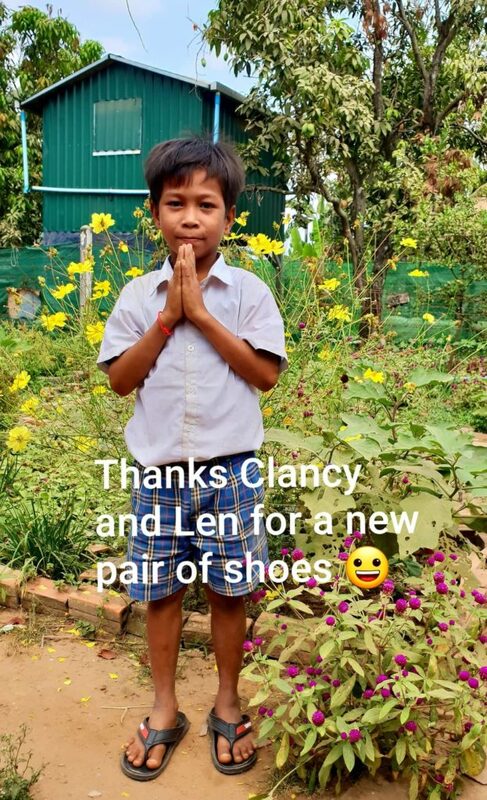 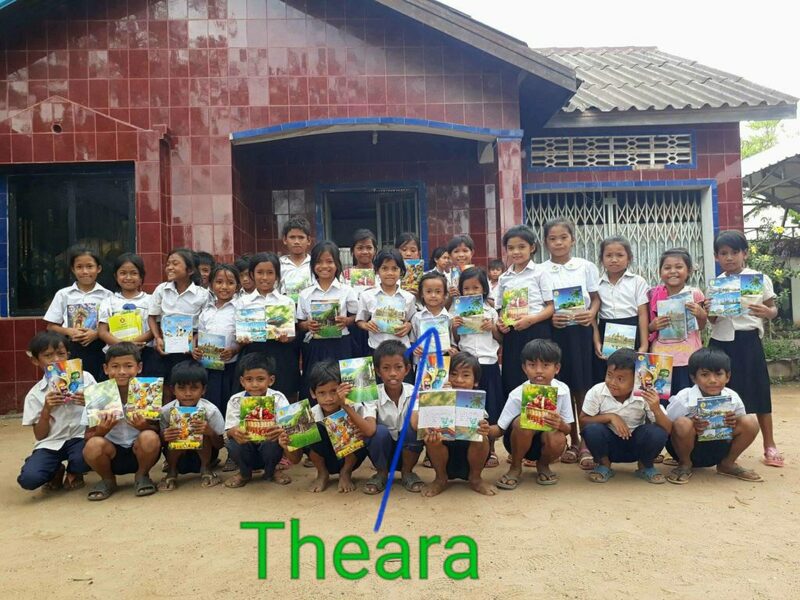 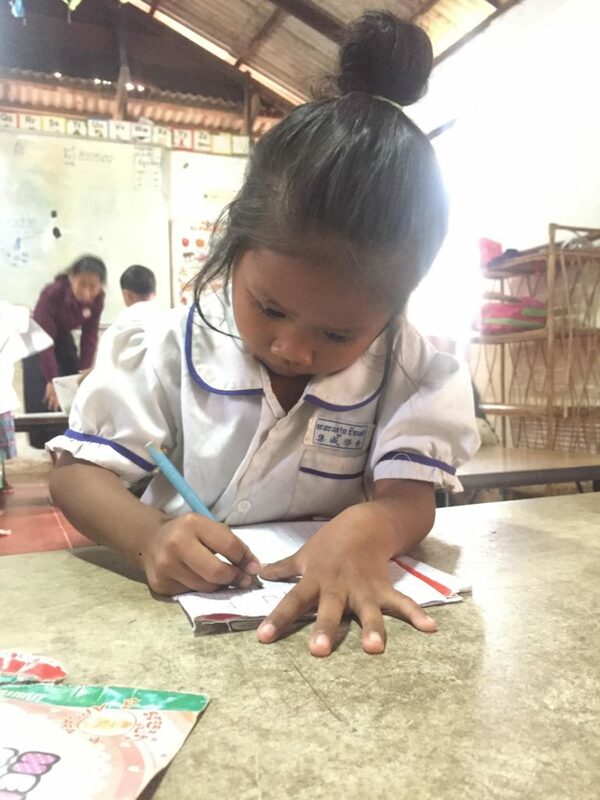 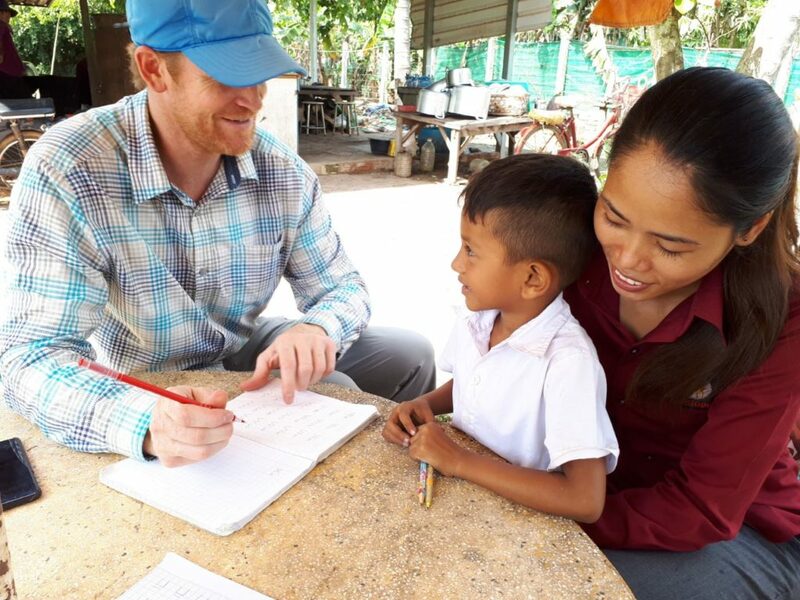 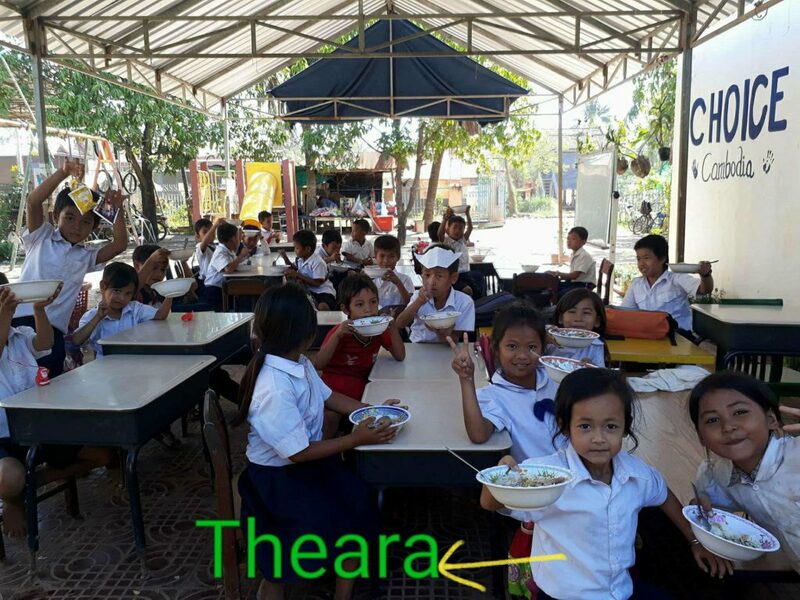 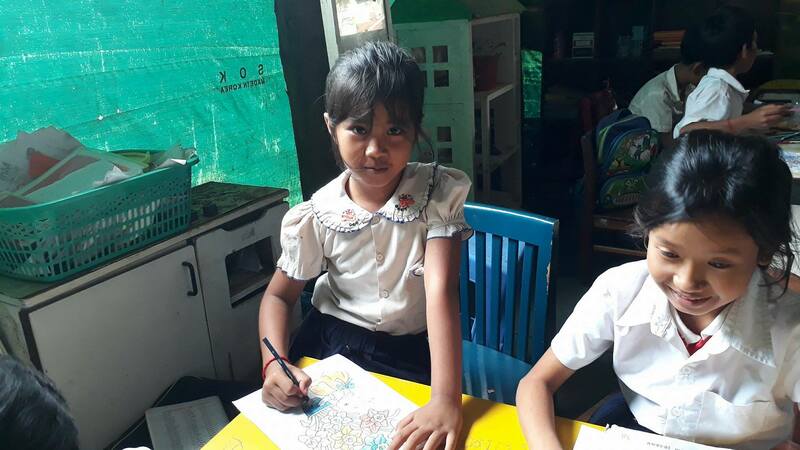 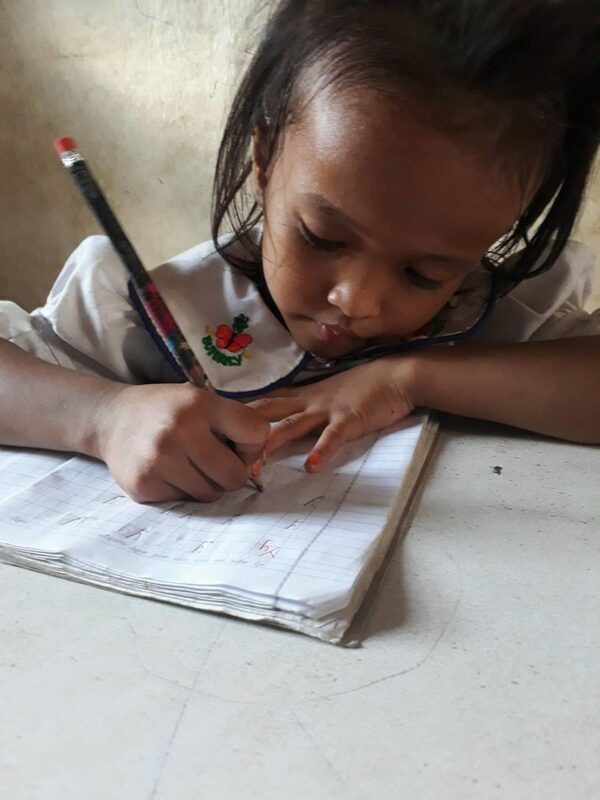 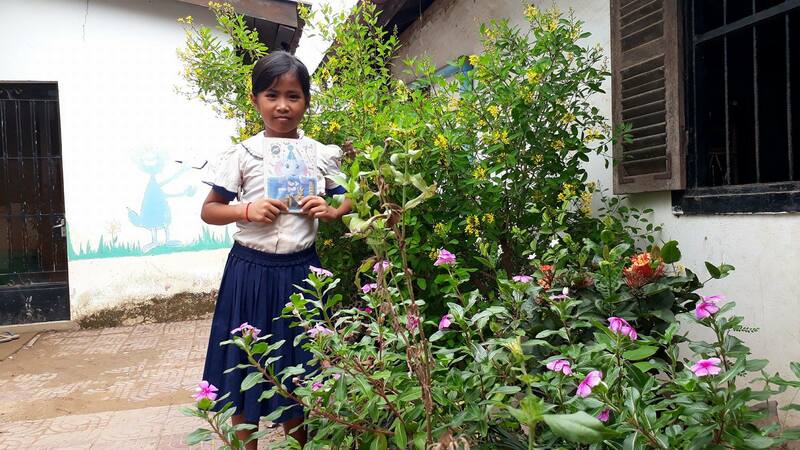 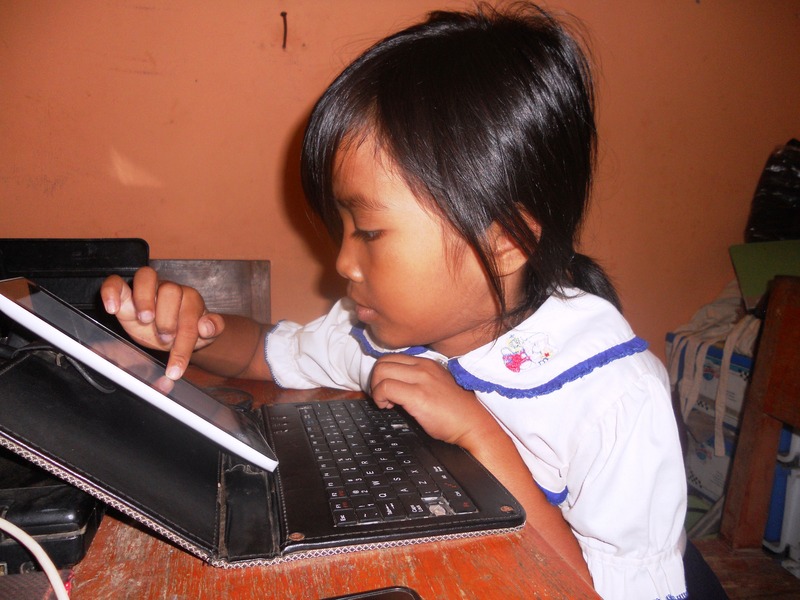 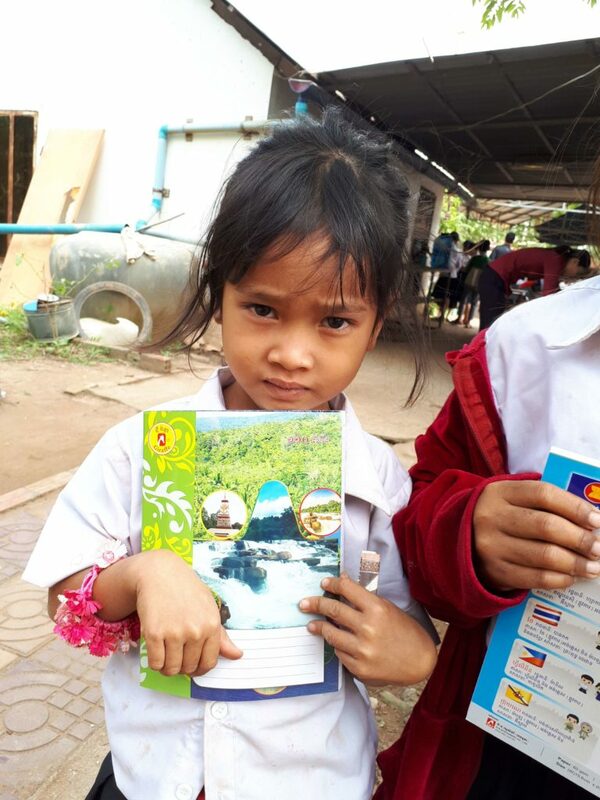 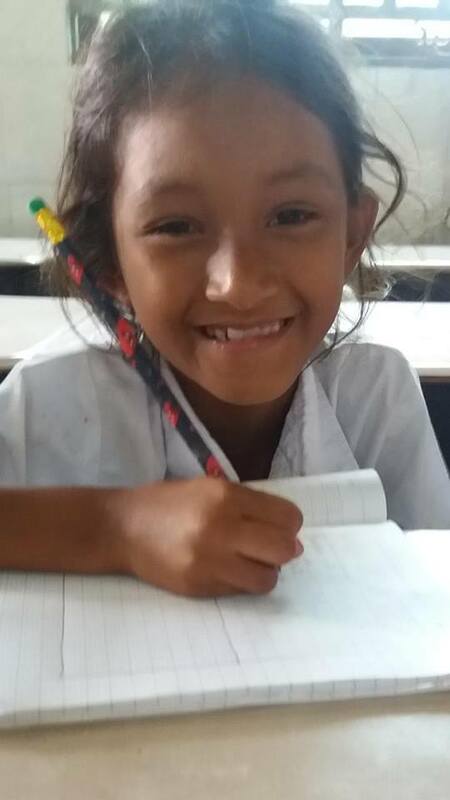 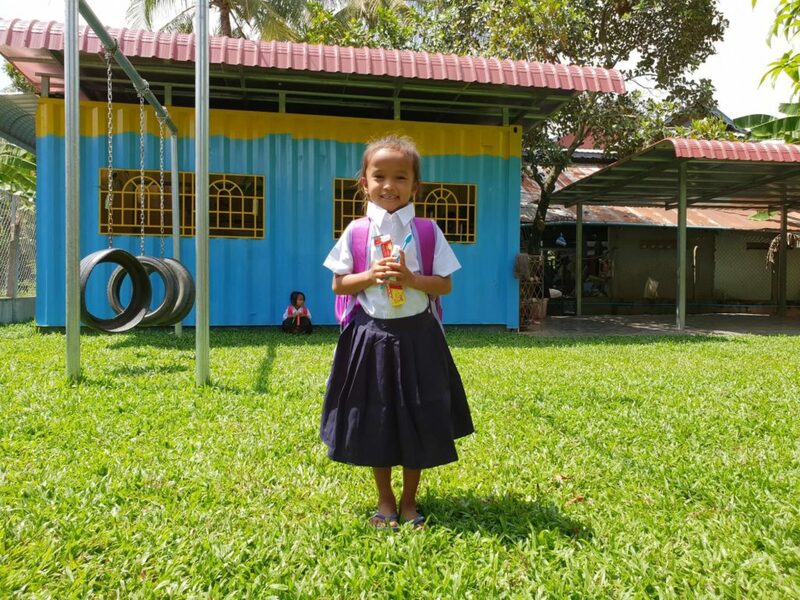 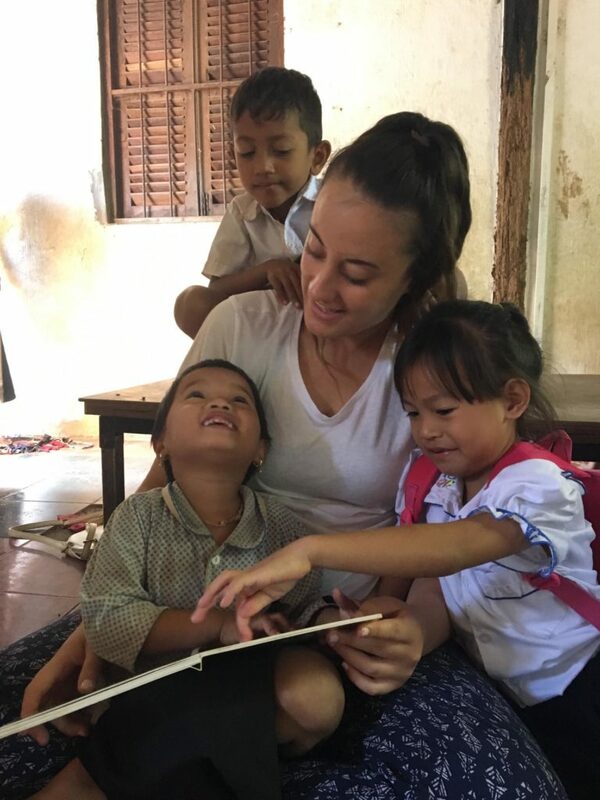 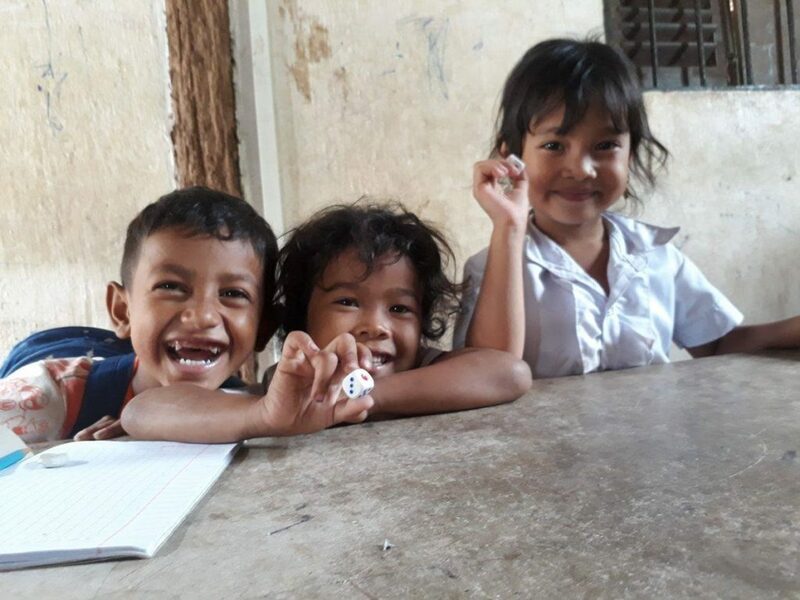 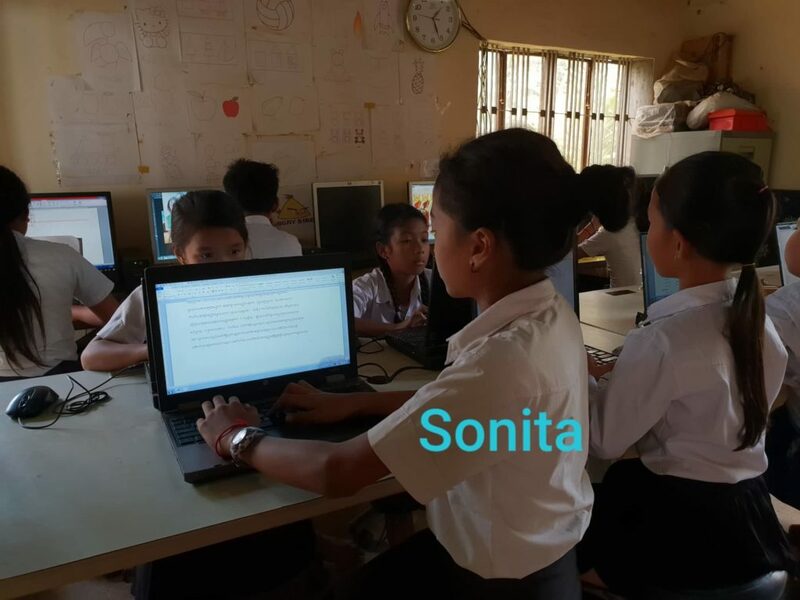 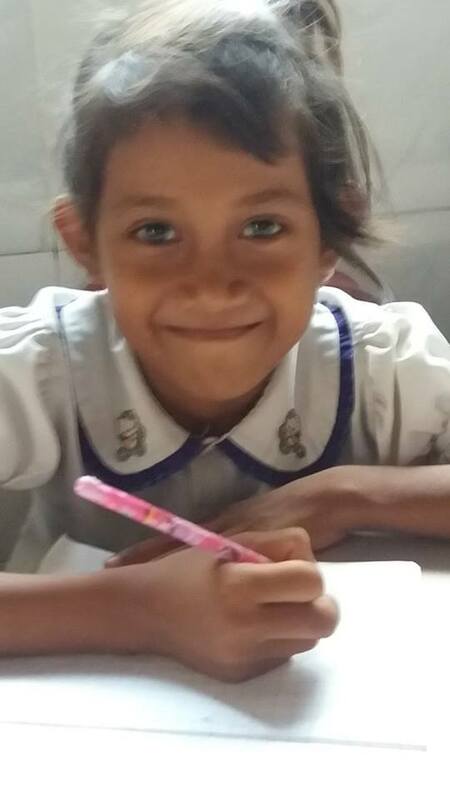 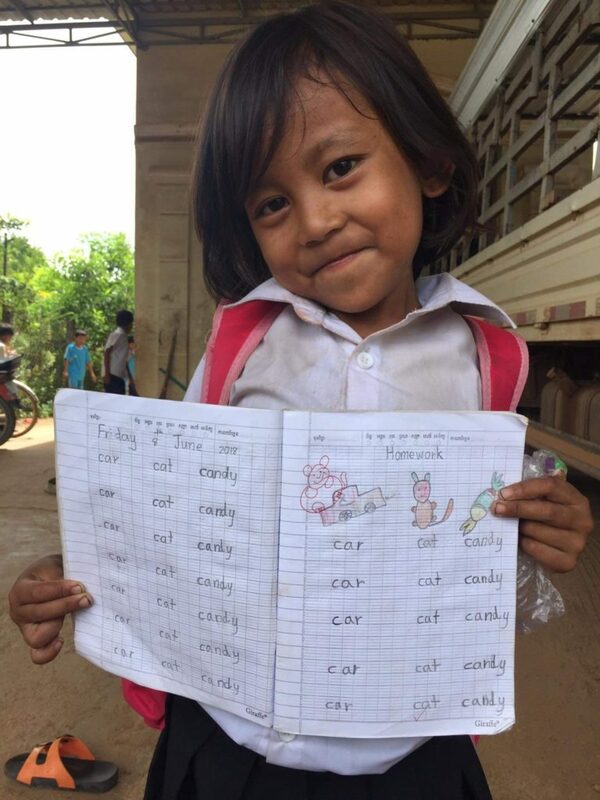 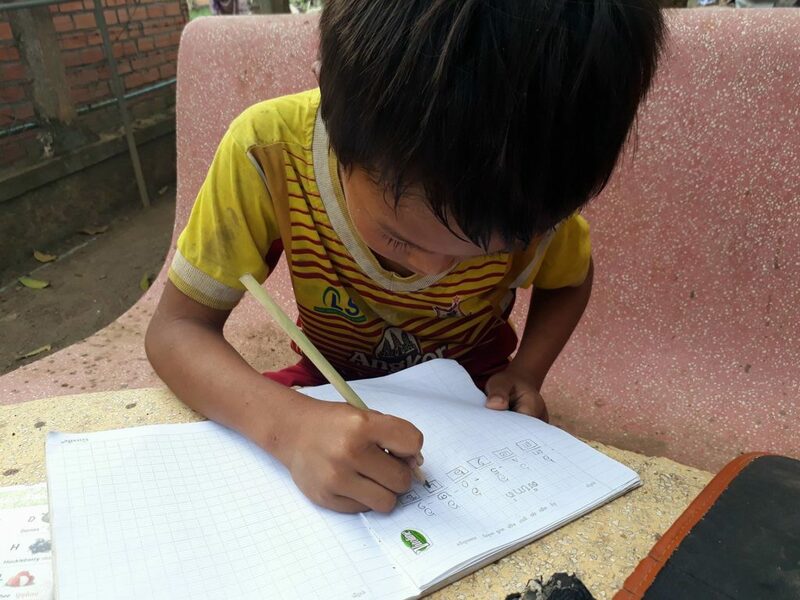 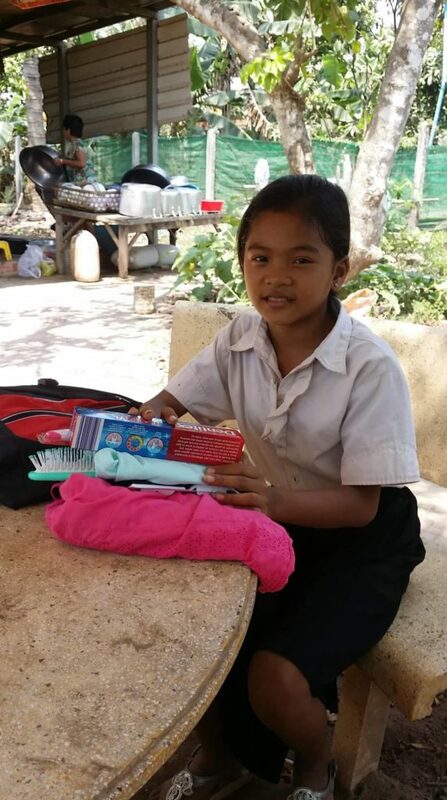 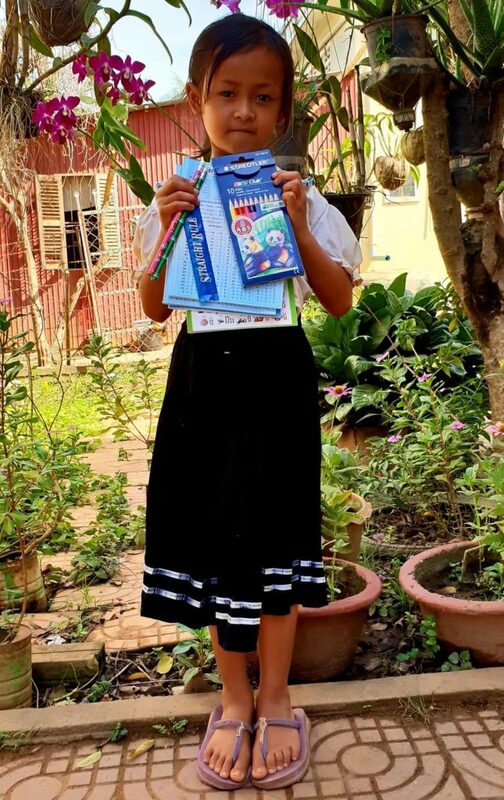 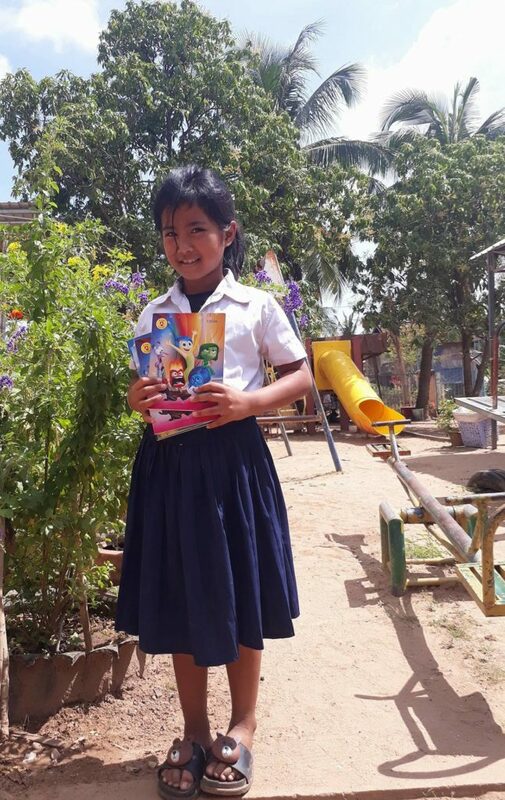 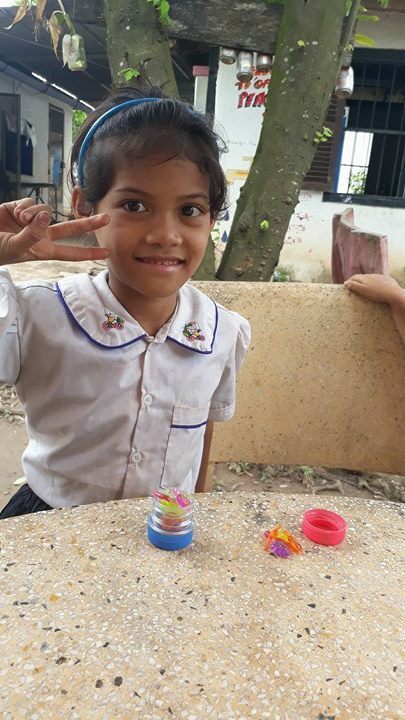 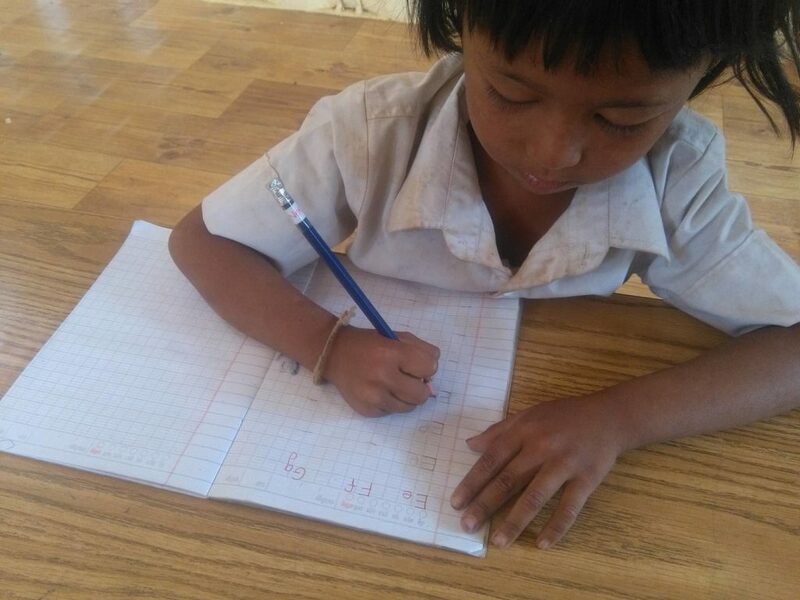 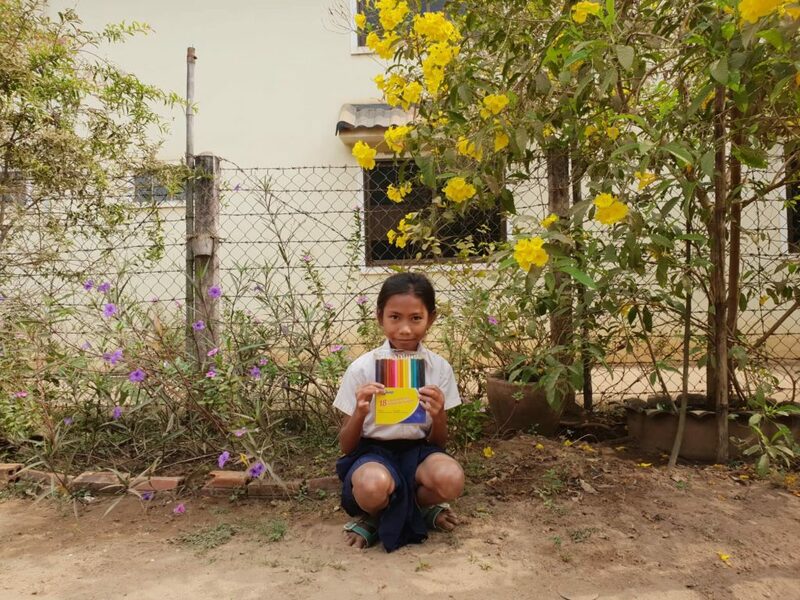 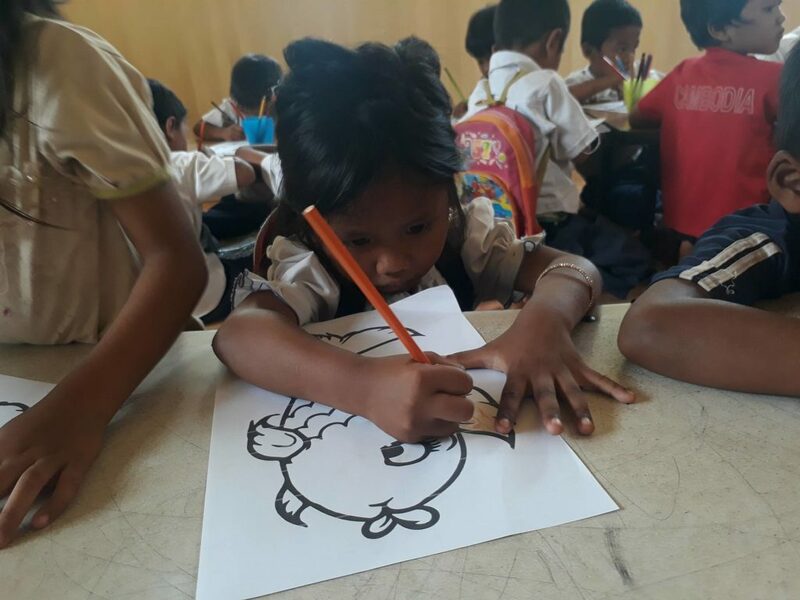 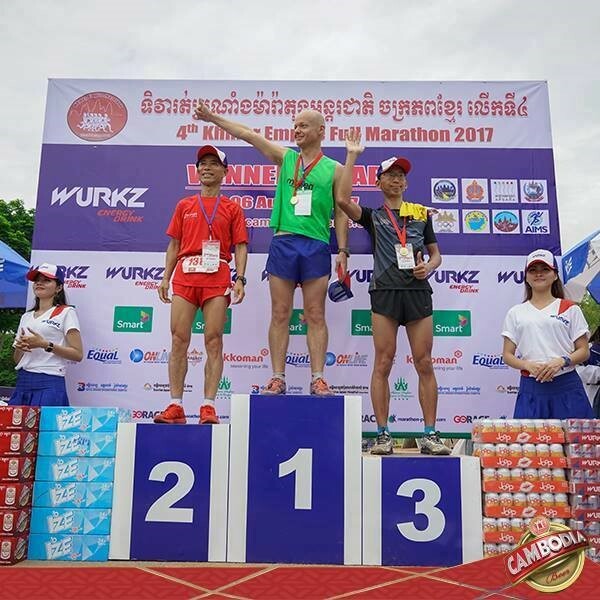 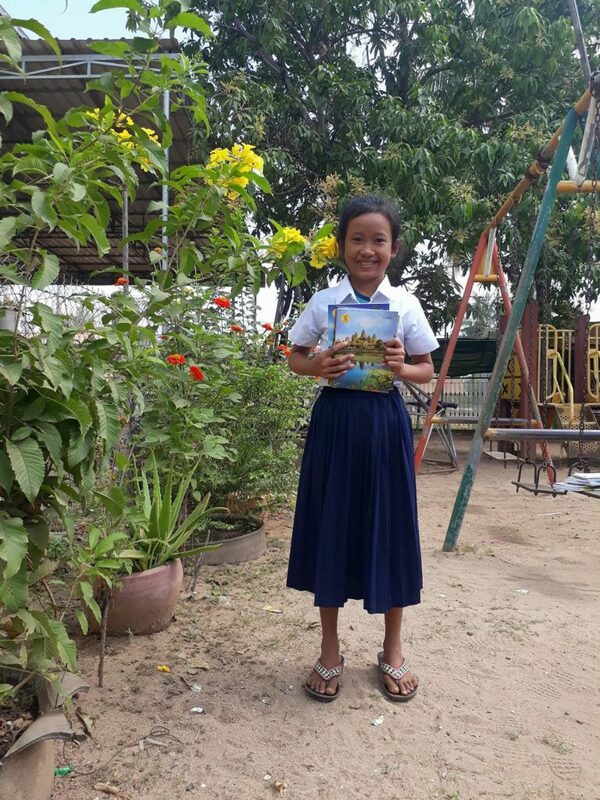 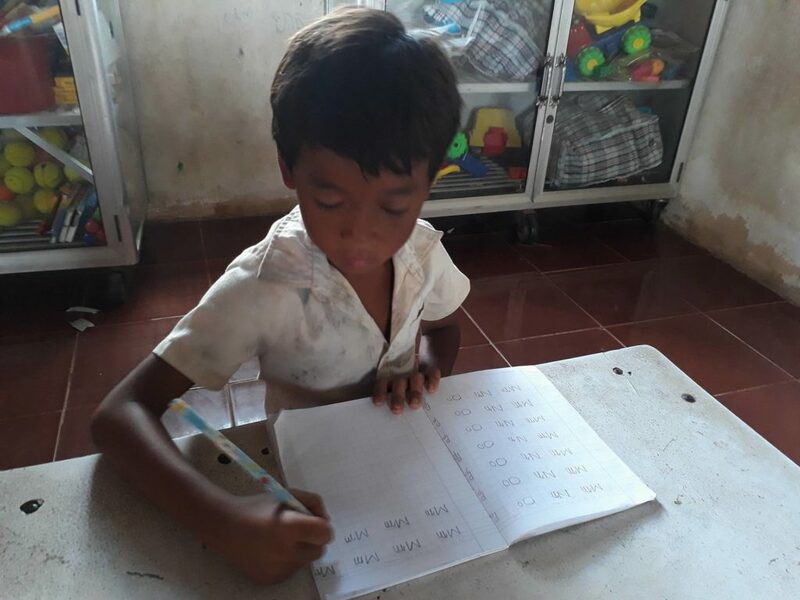 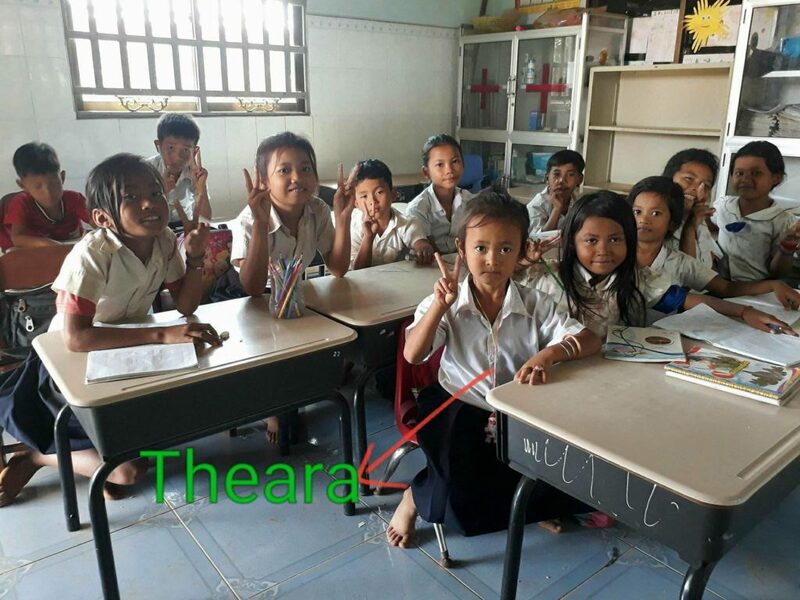 Chenda wrote a letter to her sponsors in Khmer. 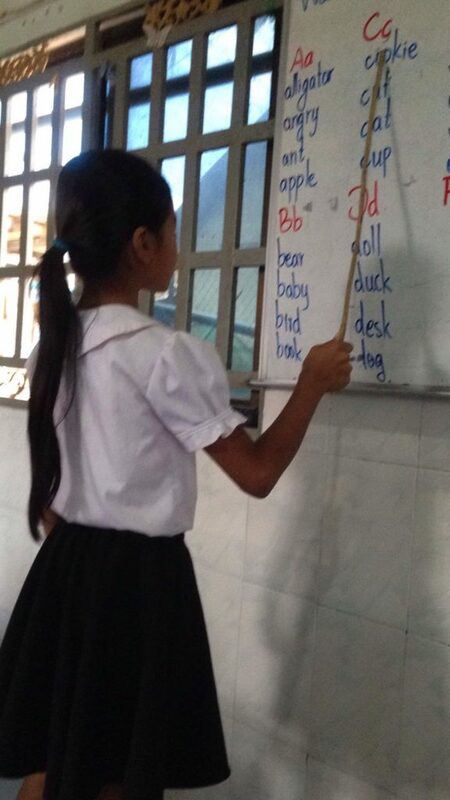 Her teacher then translated it in English. 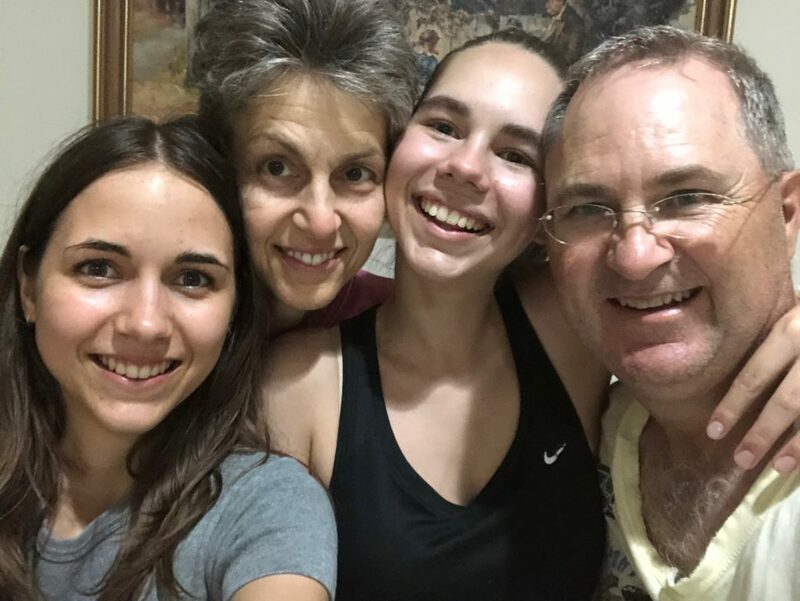 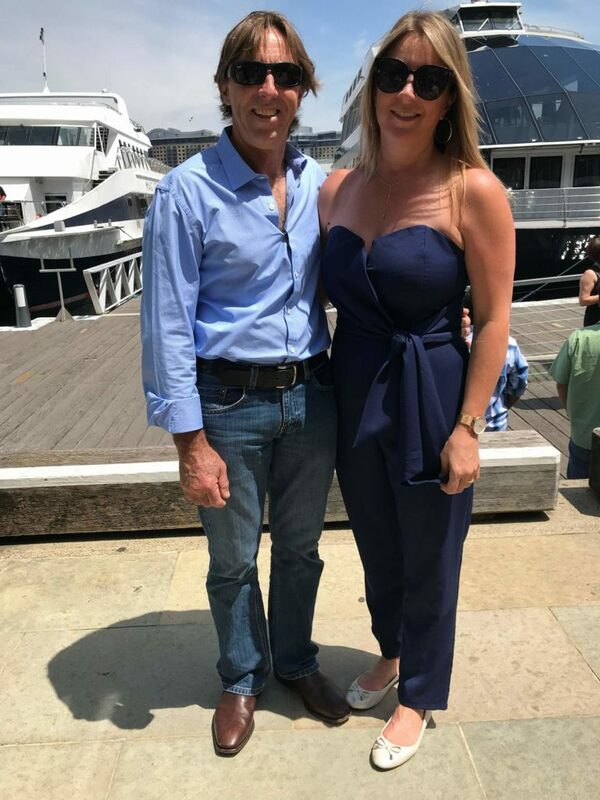 Below photo of Jenny and Neil Hamlin with daughters Holly and Jessica. 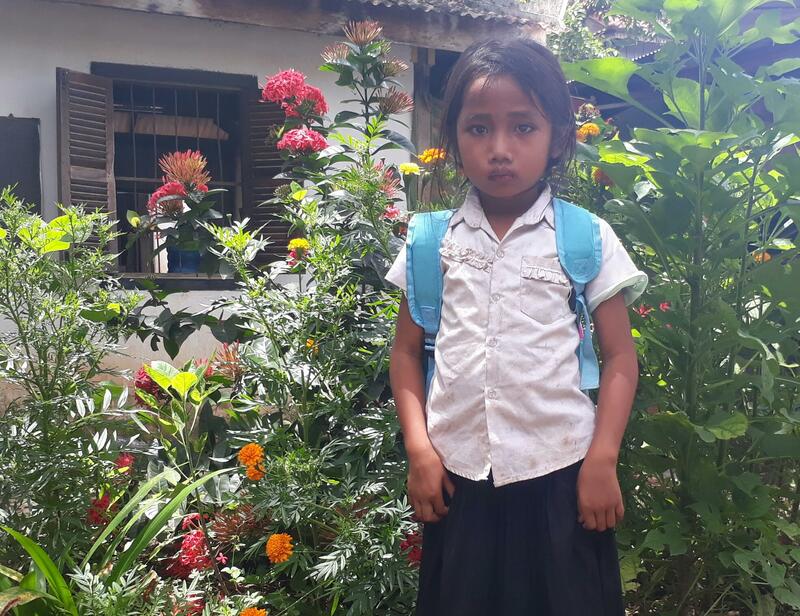 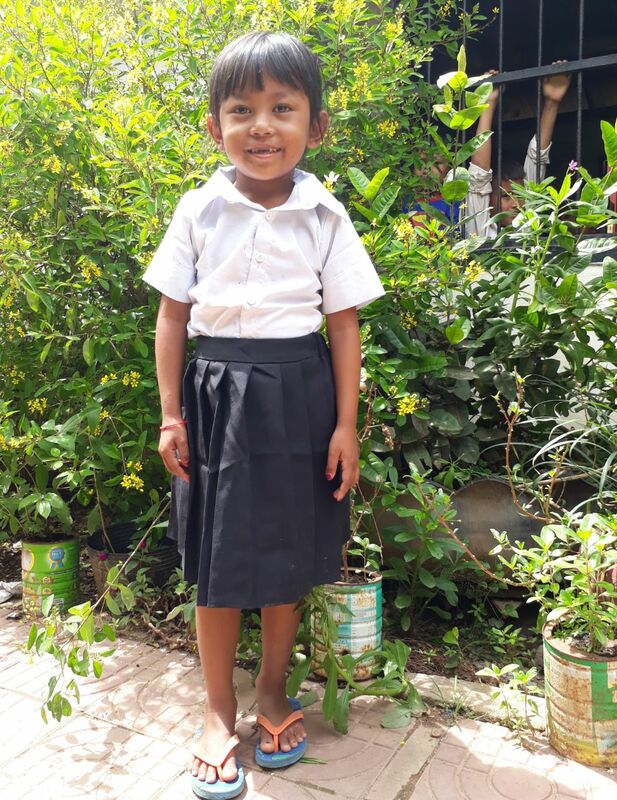 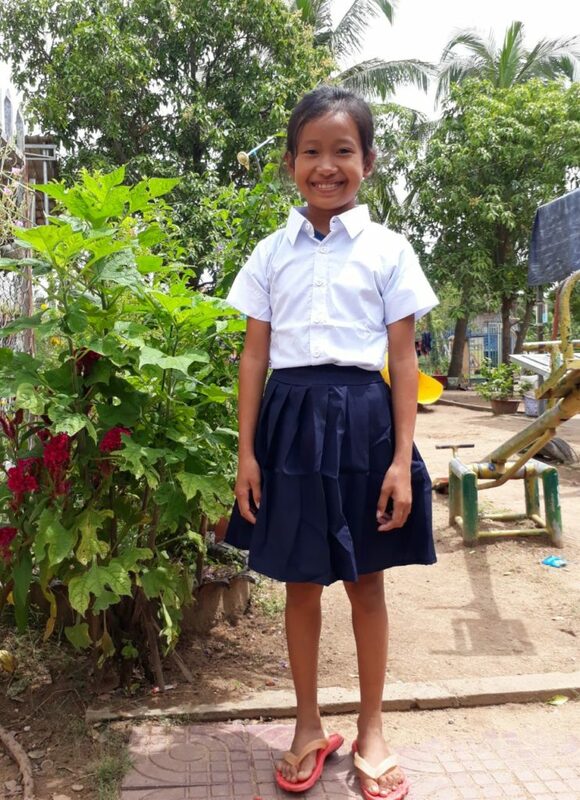 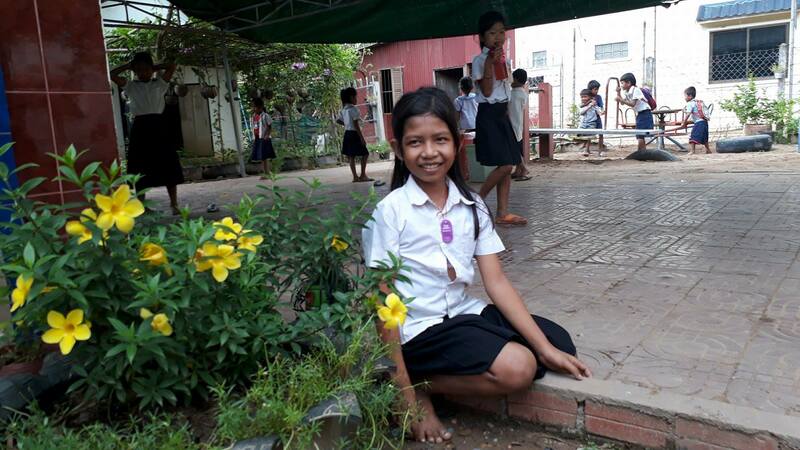 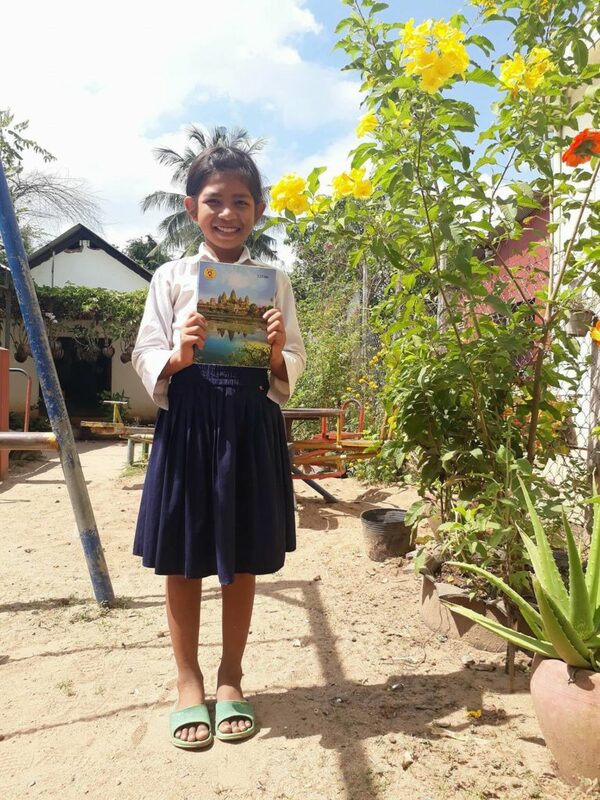 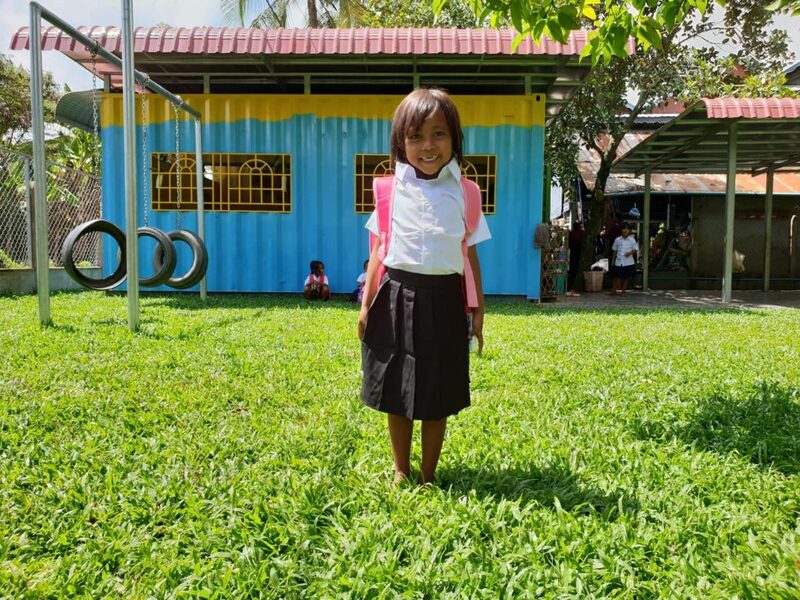 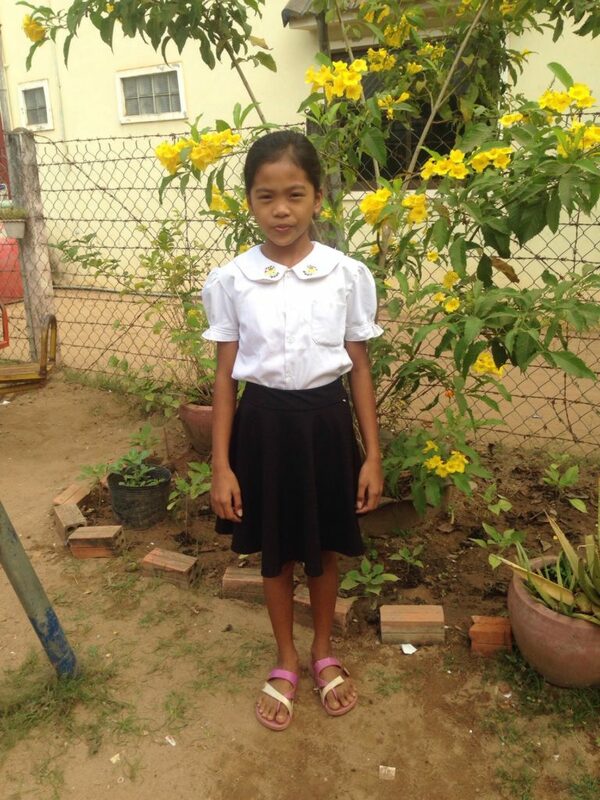 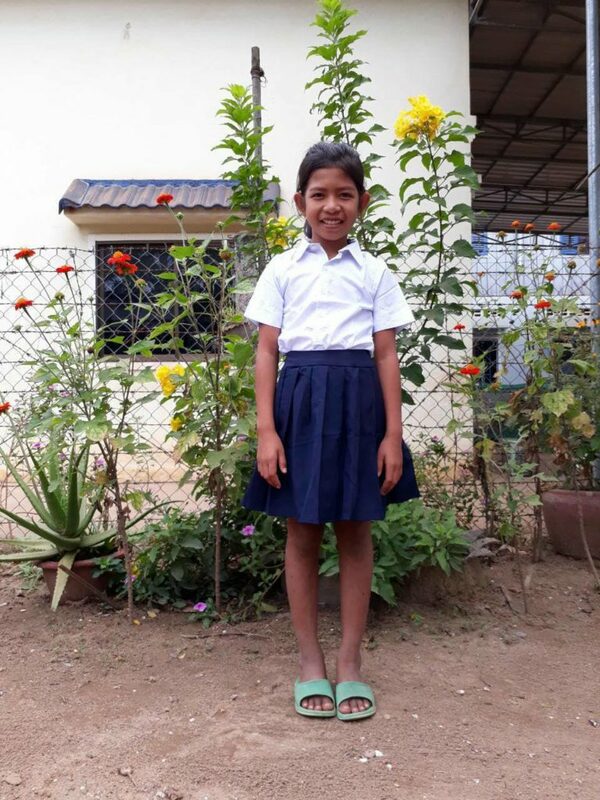 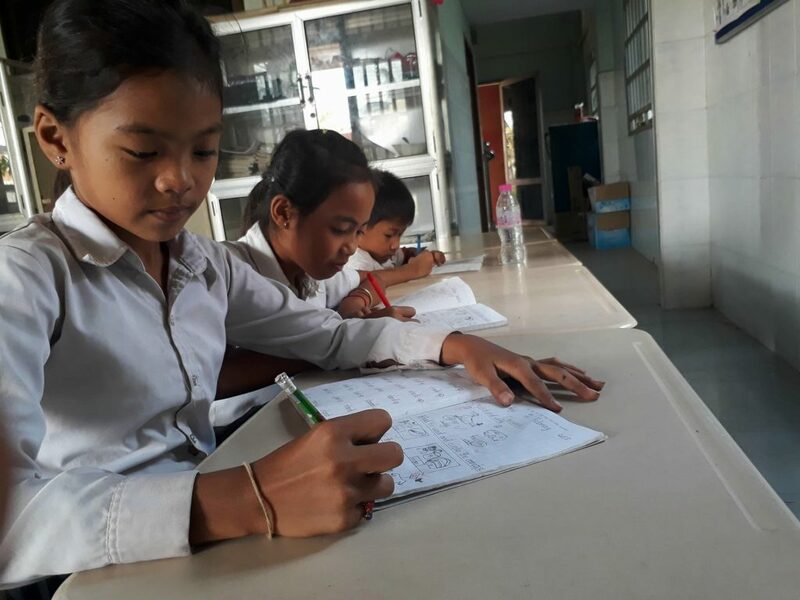 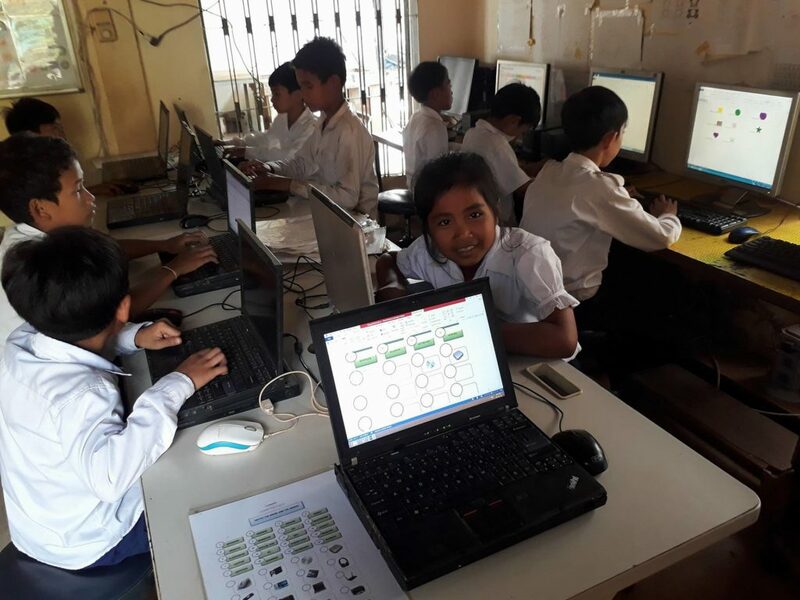 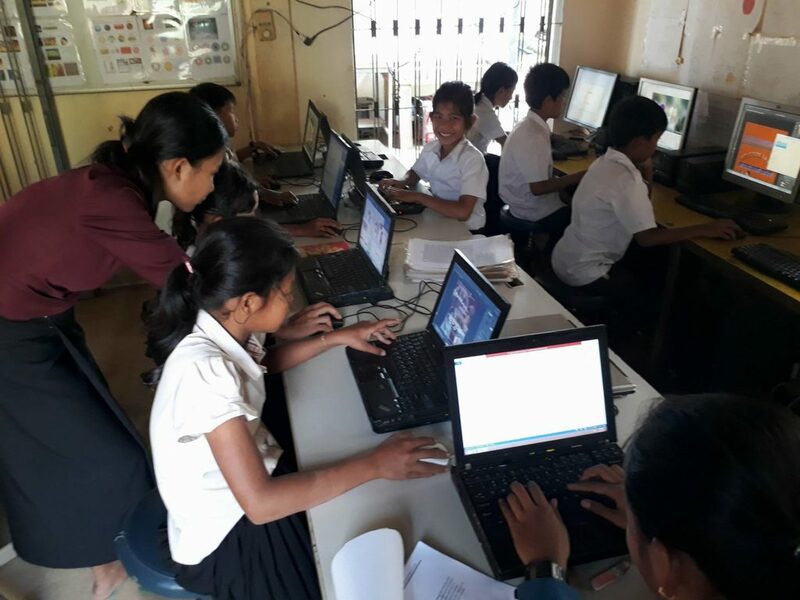 Update 2017 – Chenda now attends government school full-time as she has now reached Grade 7, rather than just half a day for Grade 6 and below students. 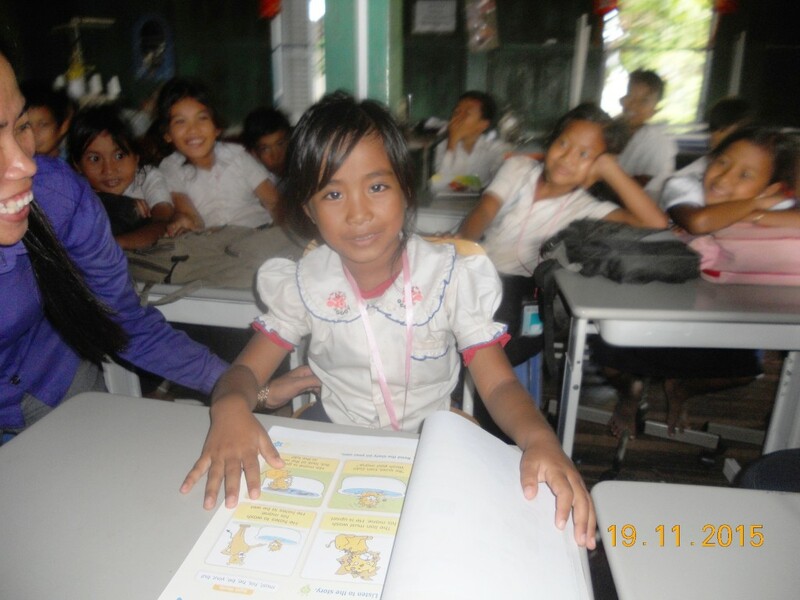 Therefore she is no longer able to come to the Choice Centre for the half day she previously had available. 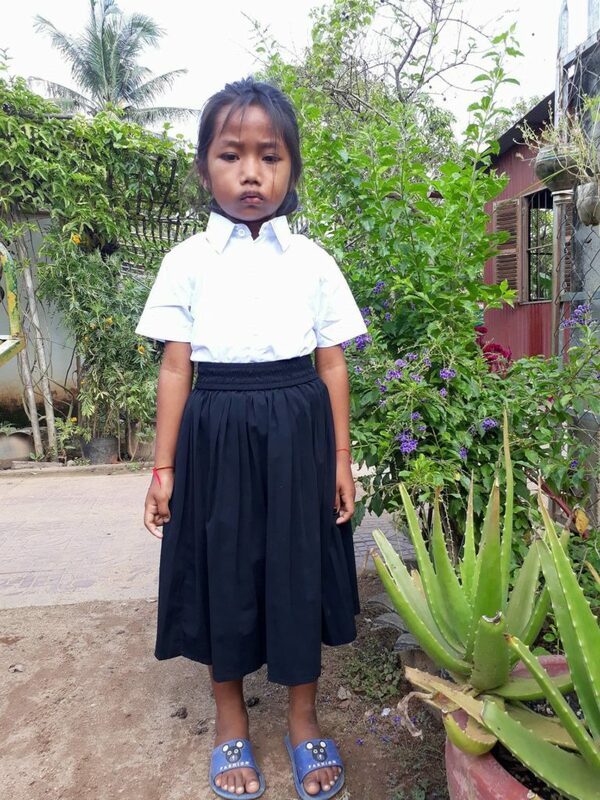 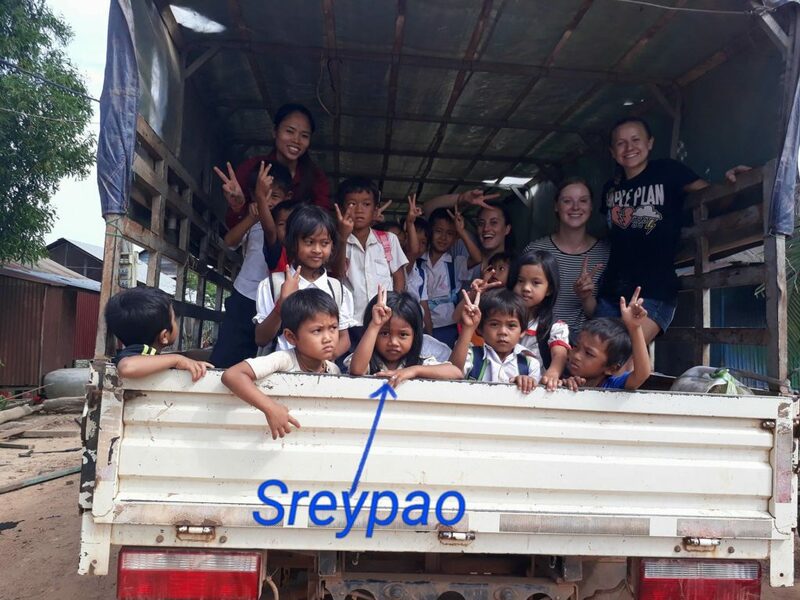 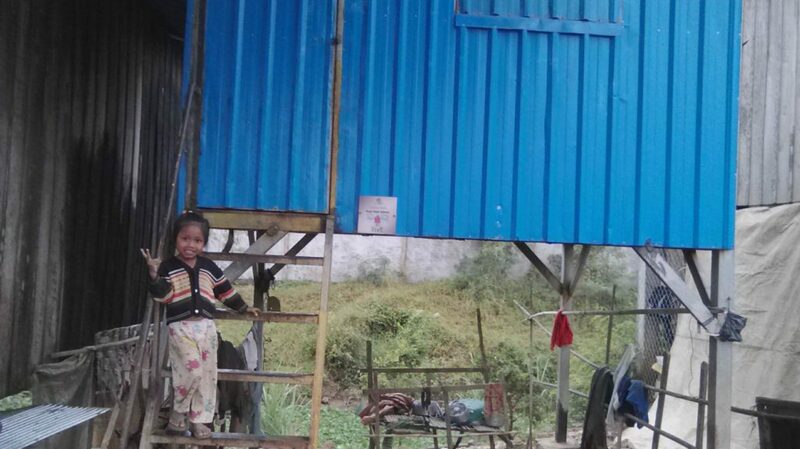 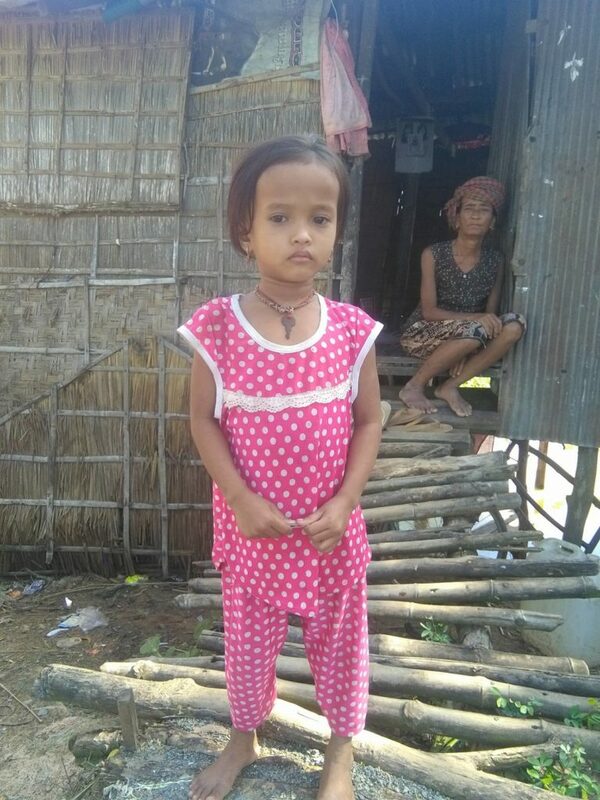 Srey Nich is a very small ten year old girl born in August 2005, she is from the first Village. 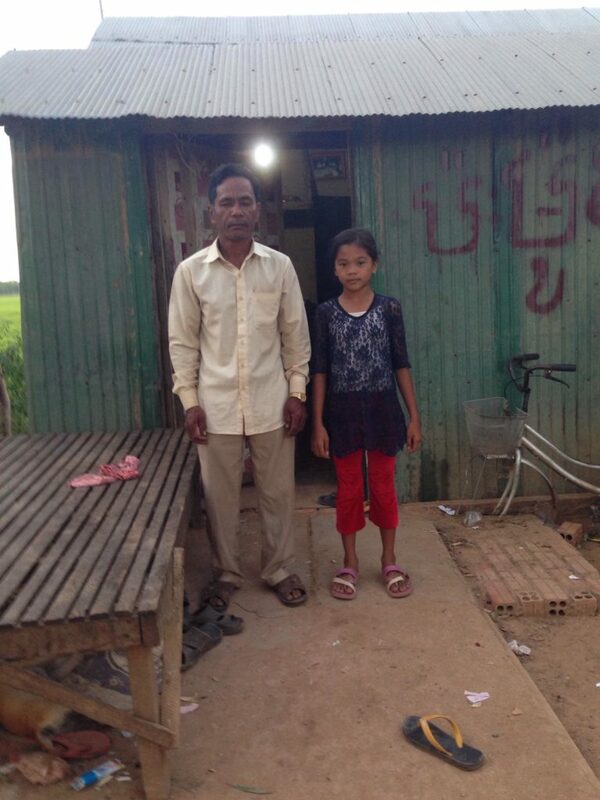 Her mother and father now have low paid jobs at the Garment Factory. 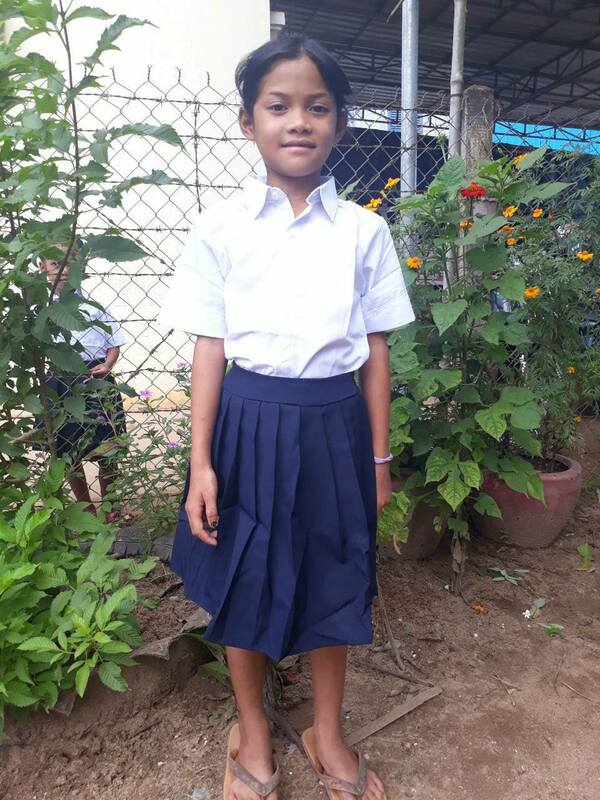 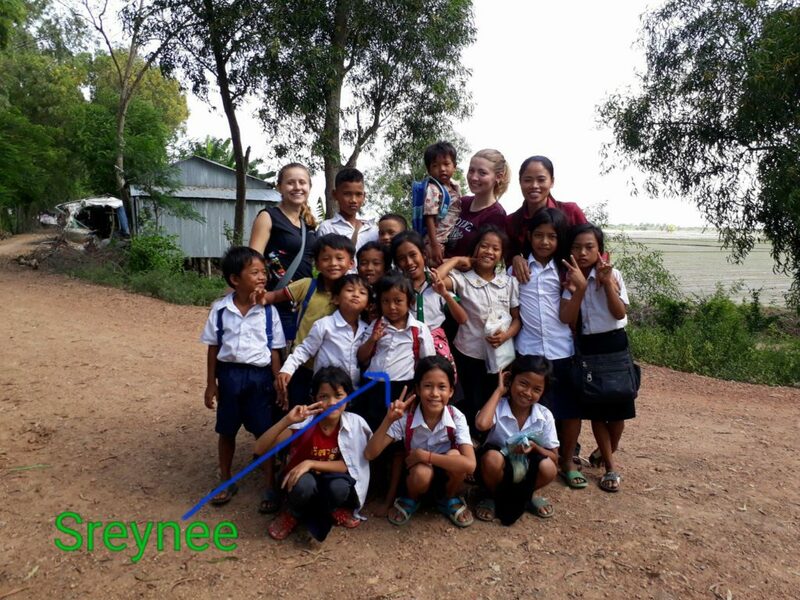 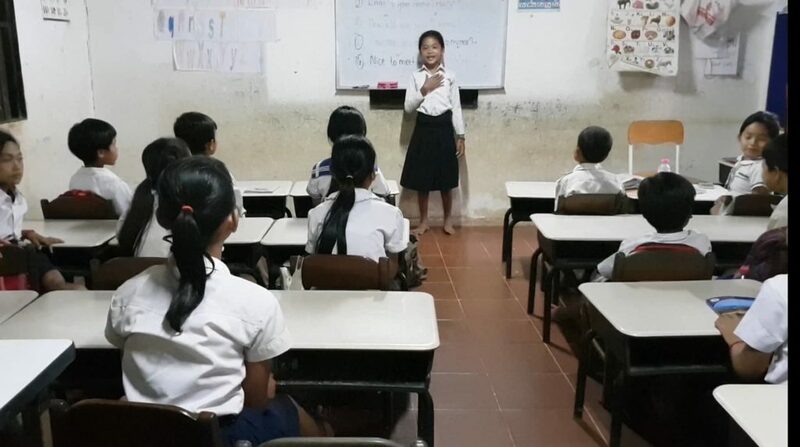 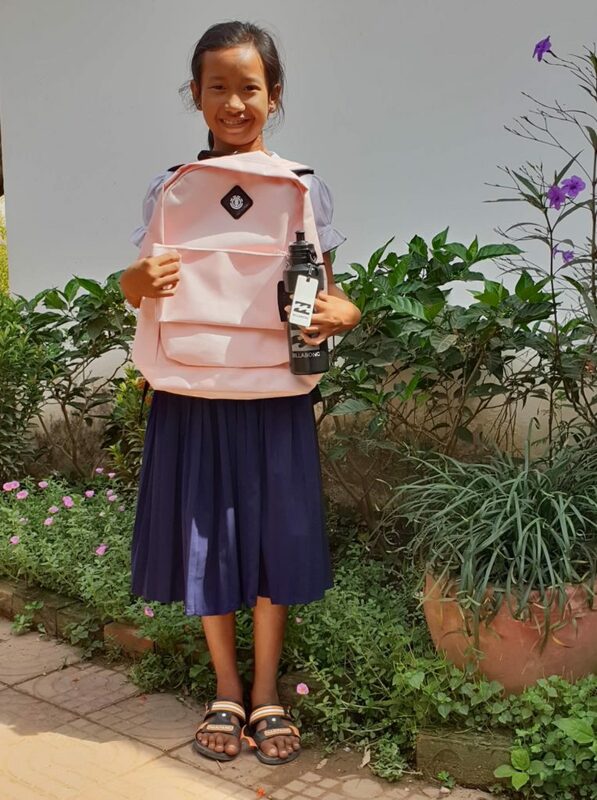 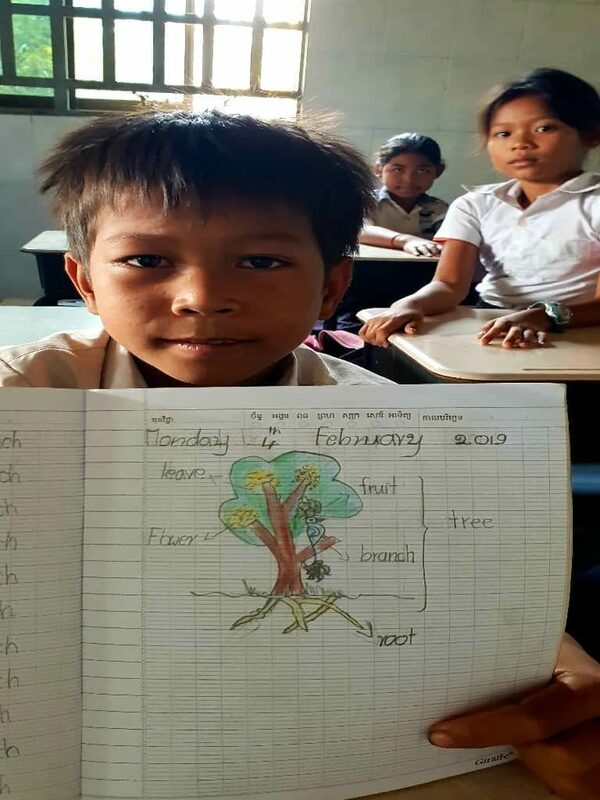 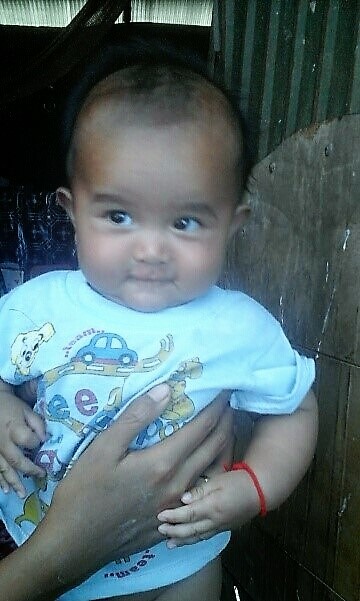 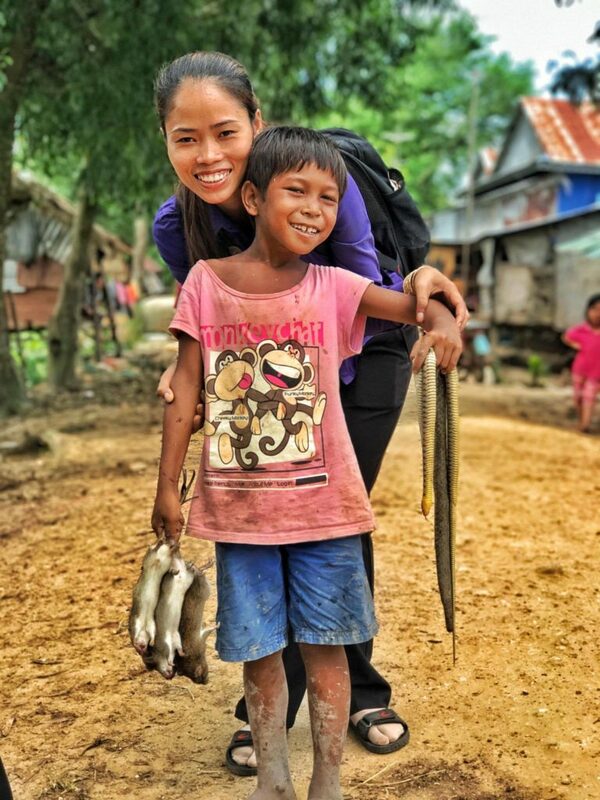 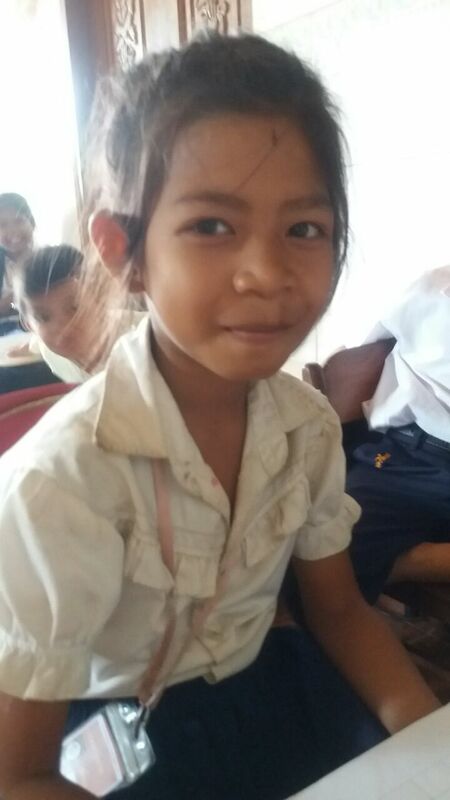 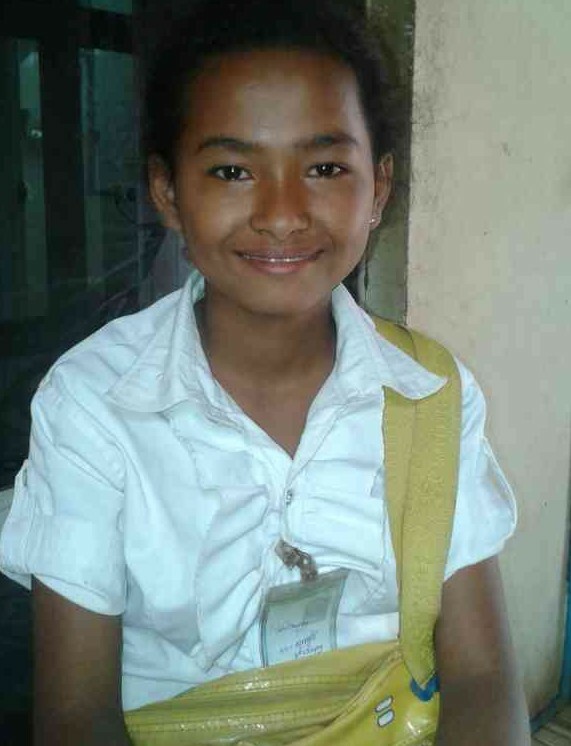 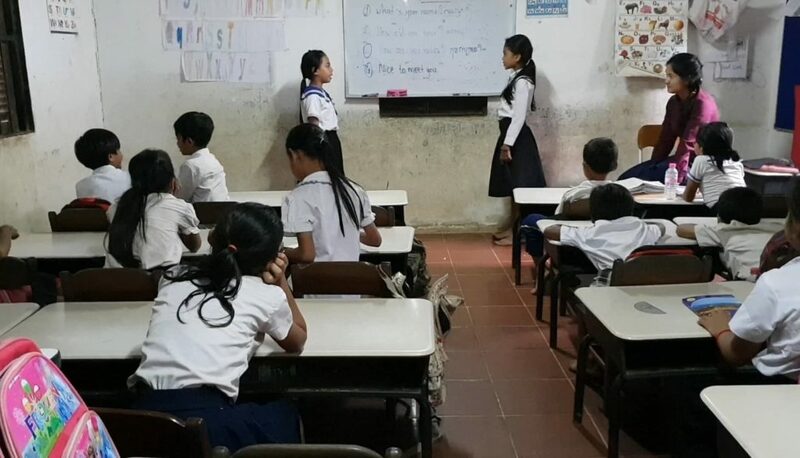 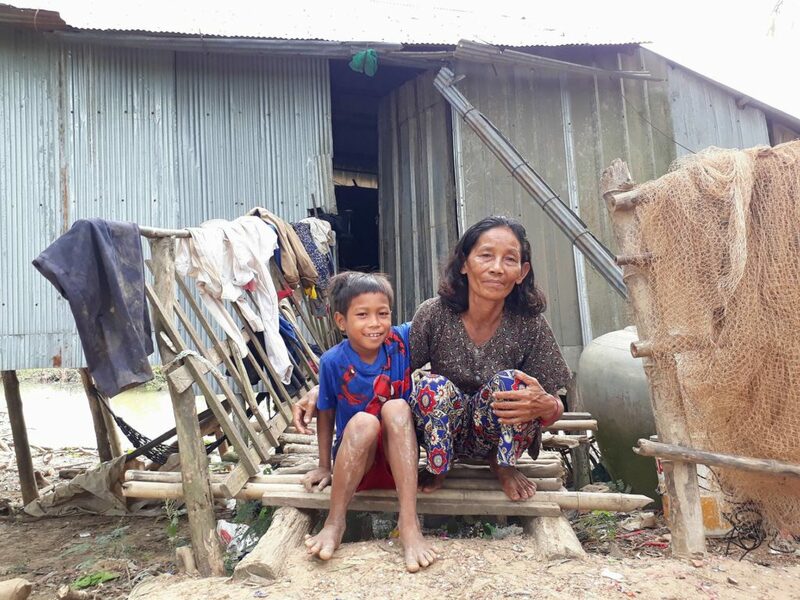 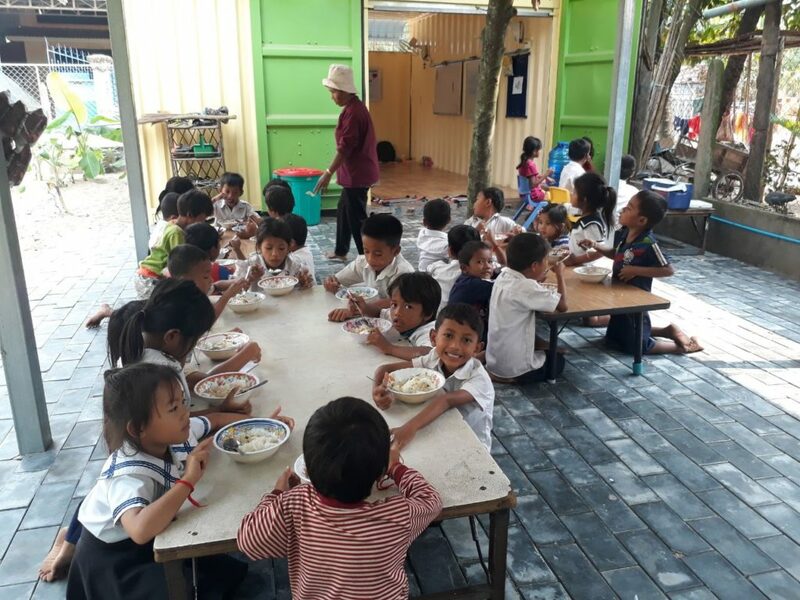 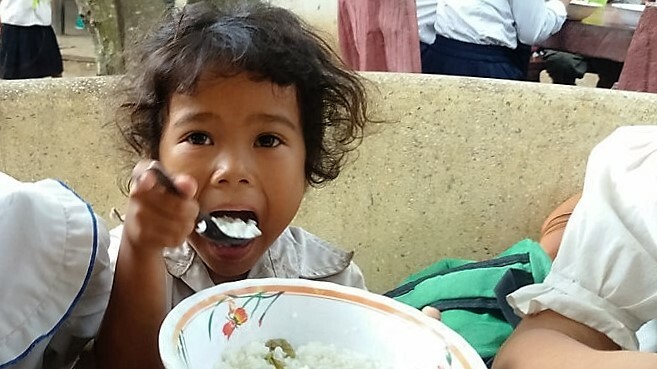 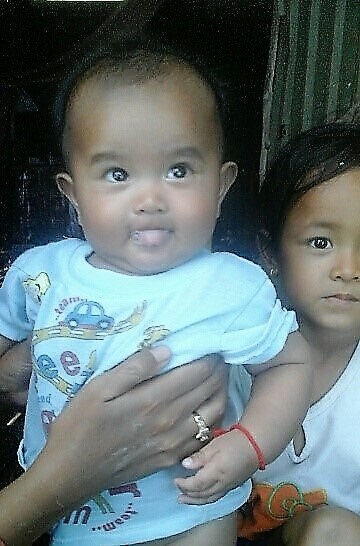 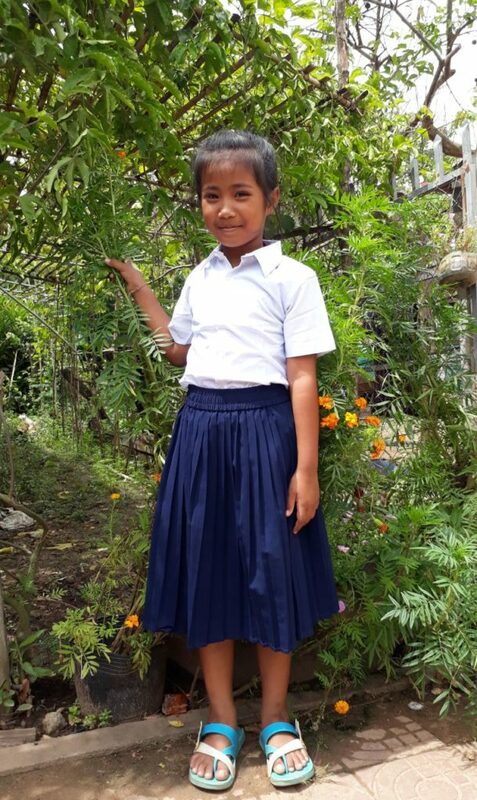 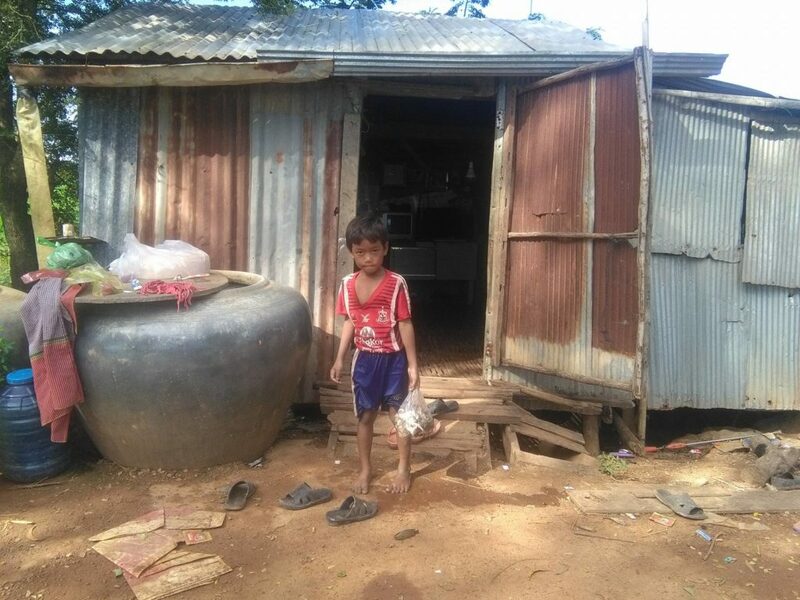 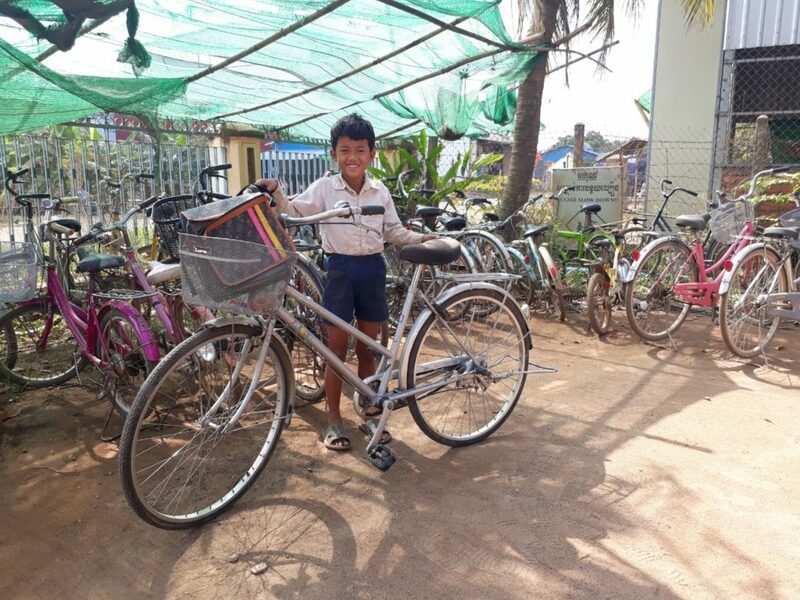 Srey Nich has a younger brother and its her responsibility to mind him and do the housework when she is not at school. 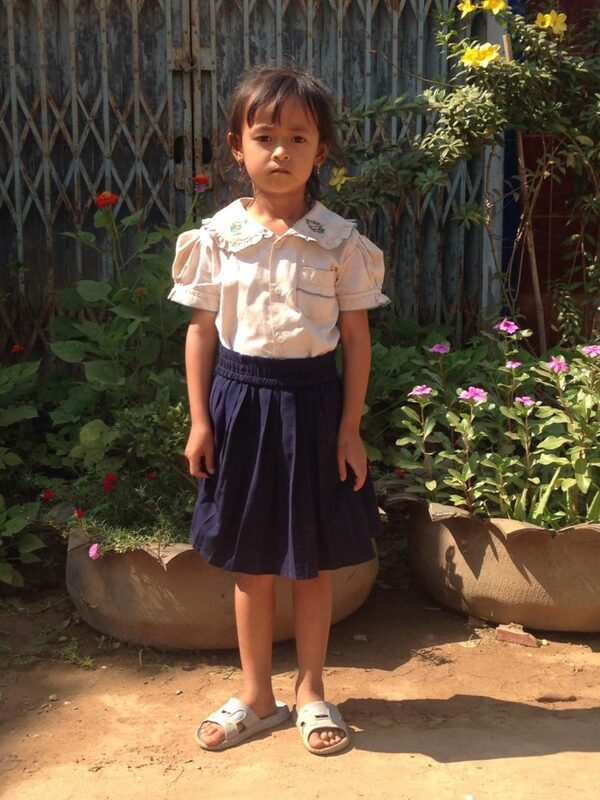 She likes eating carrots, playing games with her friends and attending the CHOICE School. 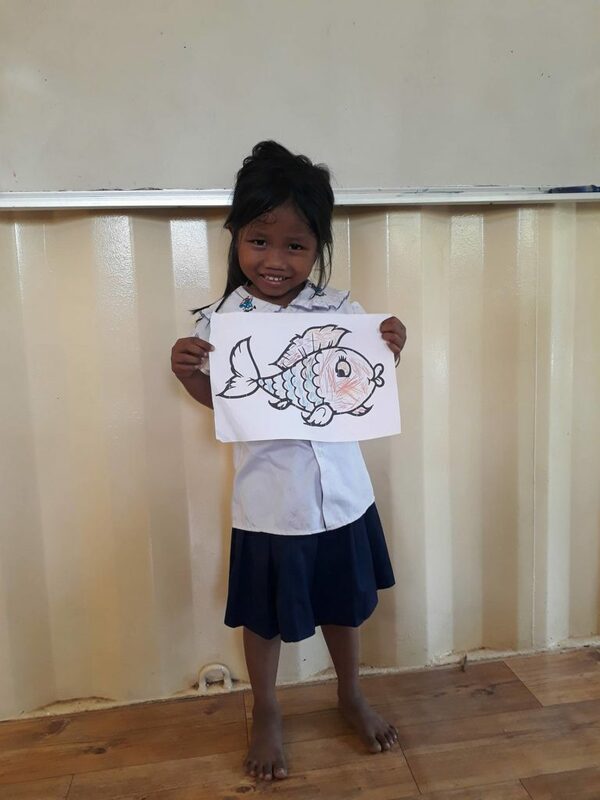 She would like to learn how to swim. 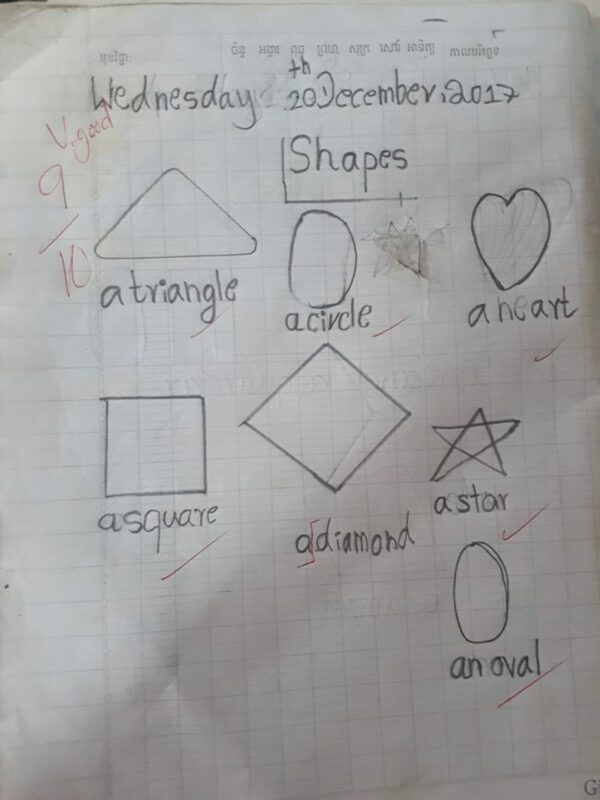 She is very clever and would like to attend University eventually.